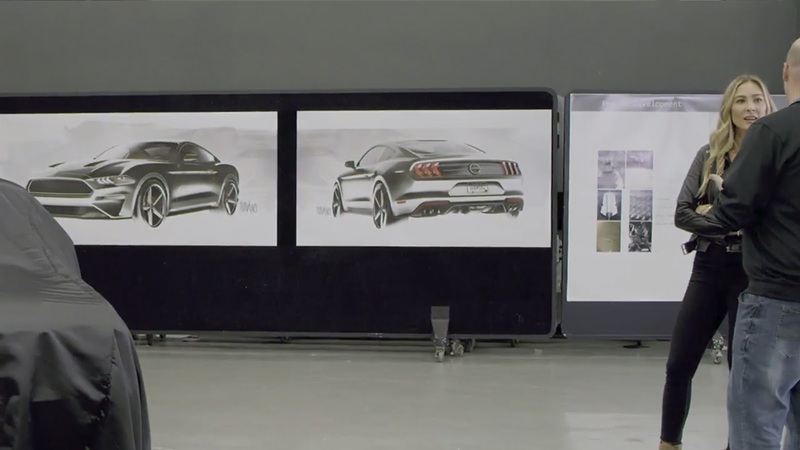 Ford has confirmed one of the worst kept secrets in Detroit, a new Mustang Shelby GT500 is coming to battle the Chevrolet Camaro ZL1. 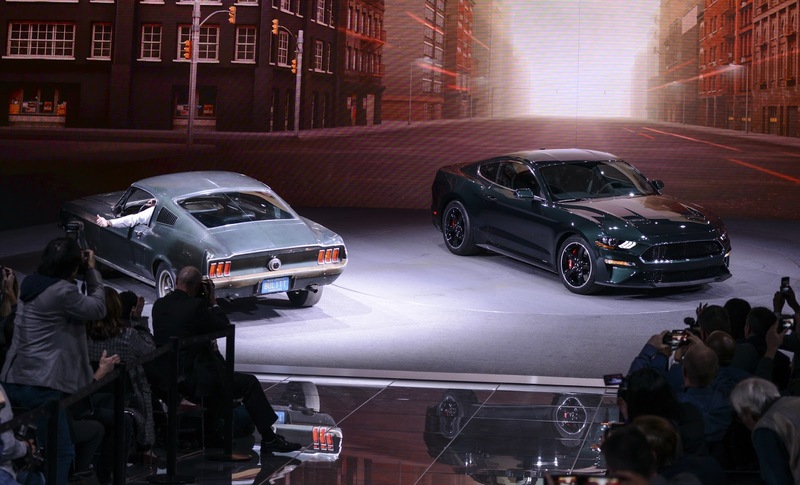 Described as the “pinnacle of Mustang performance,” the GT500 will be a fast-back coupe that is twice as powerful as the original 1967 model. 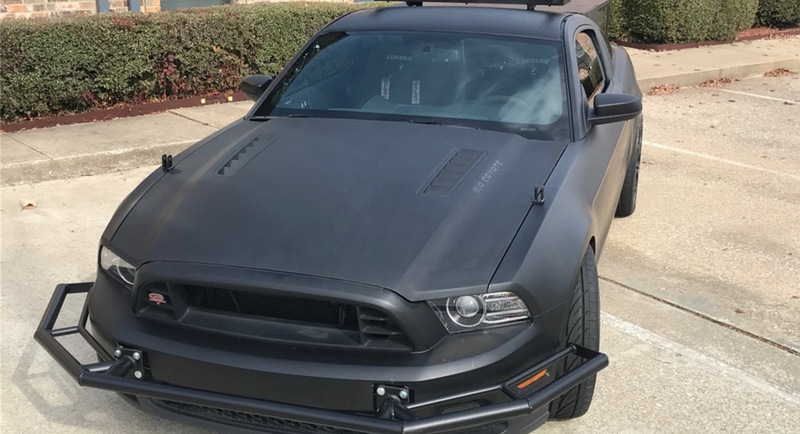 Ford is keeping detailed specifications under wraps but the automaker confirmed the car is projected to produce more than 700 hp (522 kW). 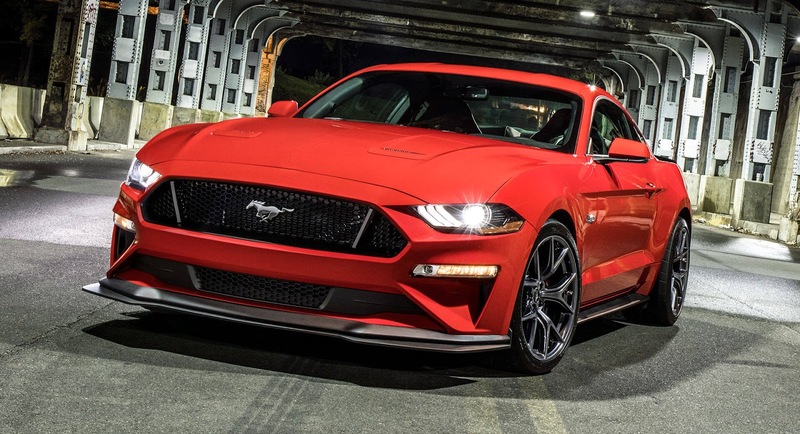 Power will be provided by a supercharged V8 engine and it will enable the Mustang to become the most powerful street-legal production model Ford has ever produced. The GT500 will even surpass the output of the Ford GT which has a 3.5-liter EcoBoost V6 that develops 647 hp (482 kW). 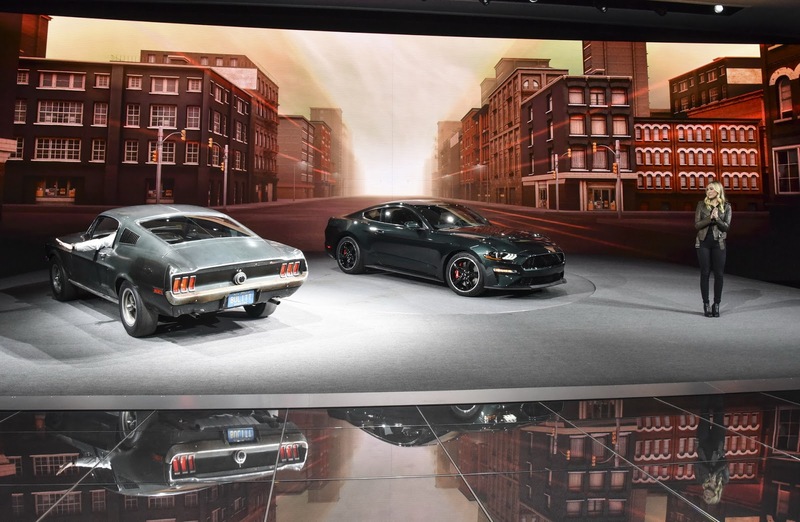 The Mustang Shelby GT500 will be launched next year and an assortment of leaks and rumors have suggested the car will have a supercharged 5.2-liter V8 engine that is paired to a dual-clutch transmission. 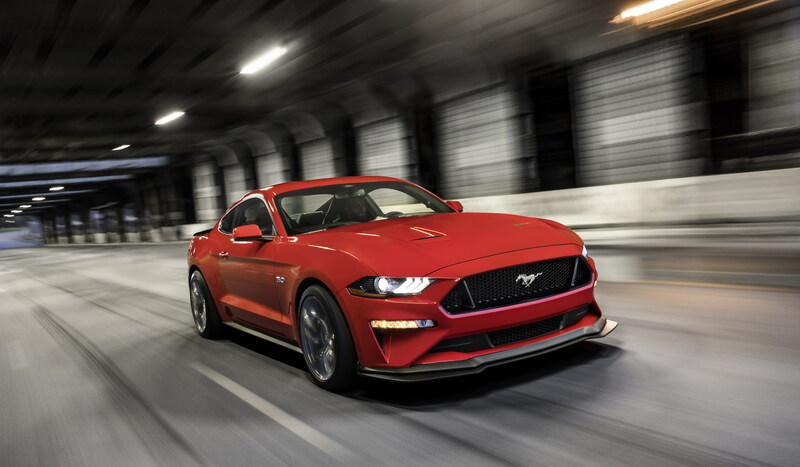 We can also expect carbon-ceramic brakes, a speedometer that tops out at 214 mph (344 km/h), and a dedicated Drag Strip mode – among other things. 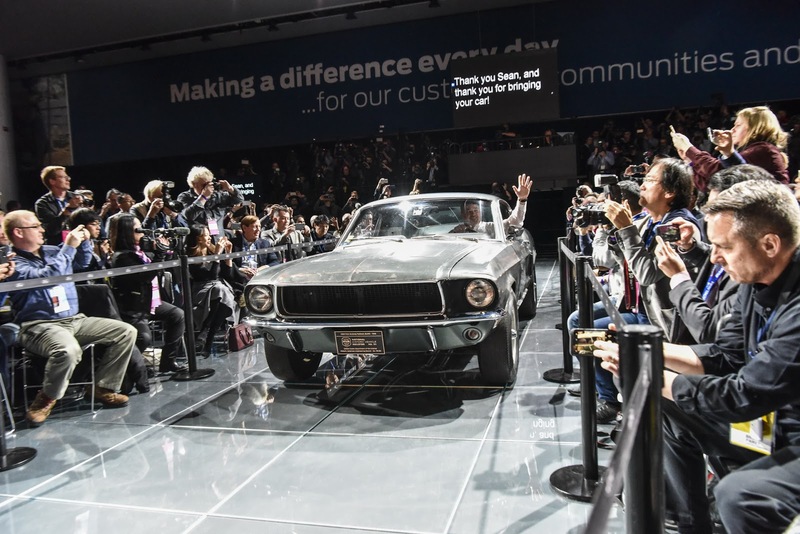 Ford declined to say when the car will be unveiled but we can expect to learn more about the model in the coming months. 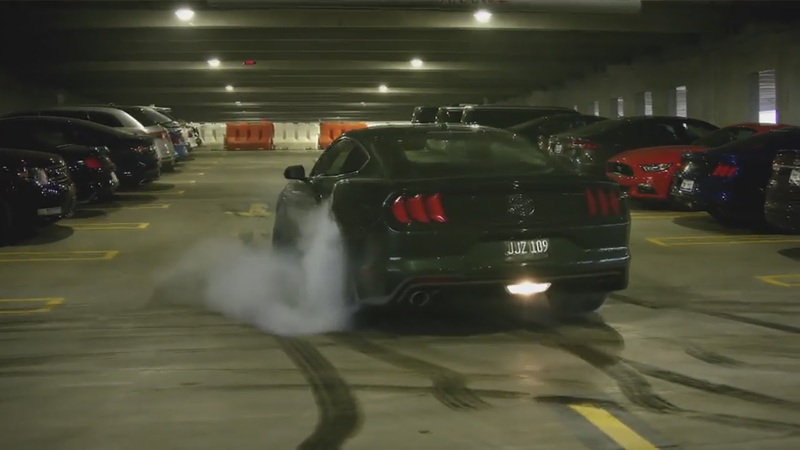 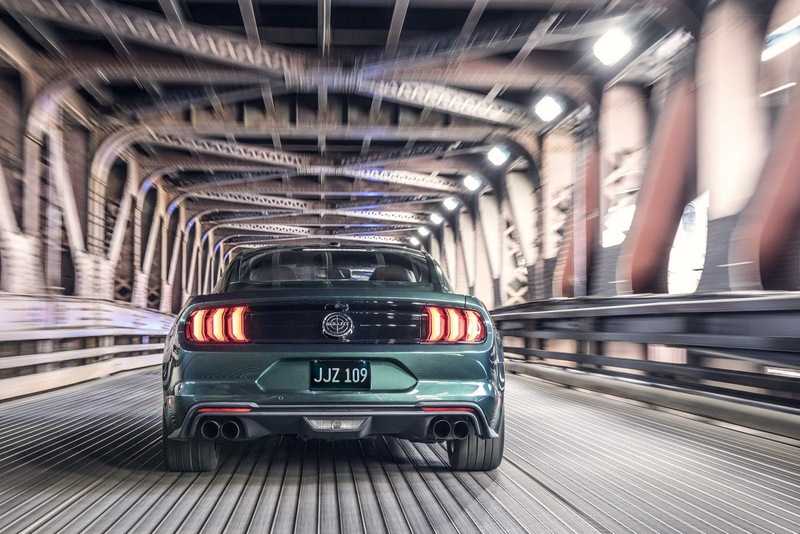 The 2019 Ford Mustang Bullitt isn’t the fastest or most powerful variant in the Mustang family but that doesn’t matter. 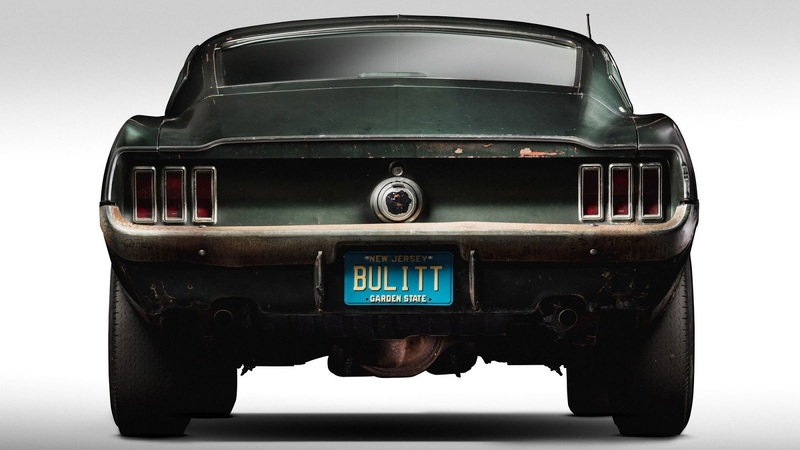 What does matter is the history of the Bullitt name and Ford’s decision to revive it with the sixth-gen Mustang. 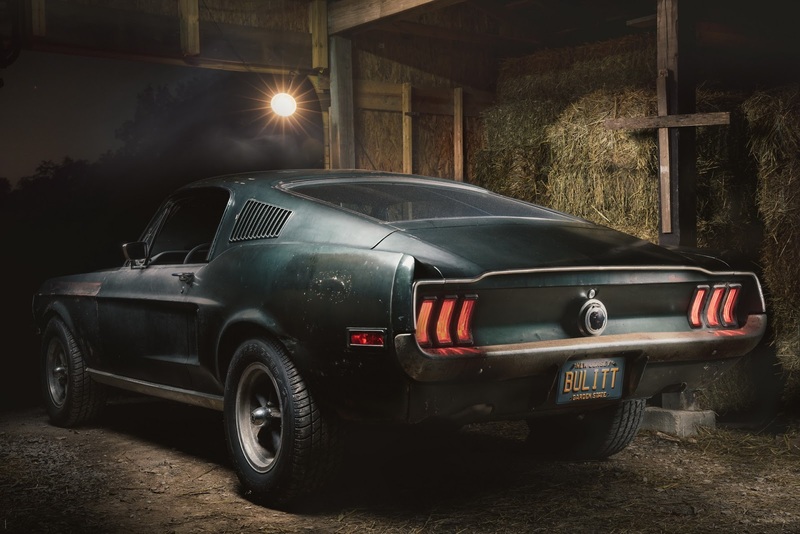 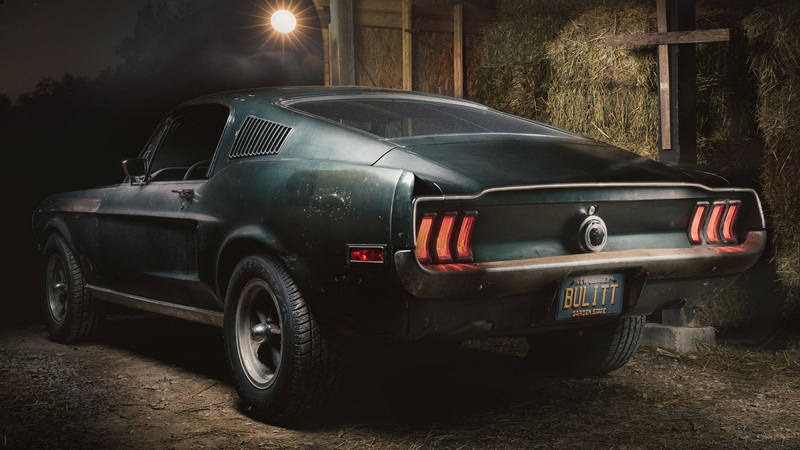 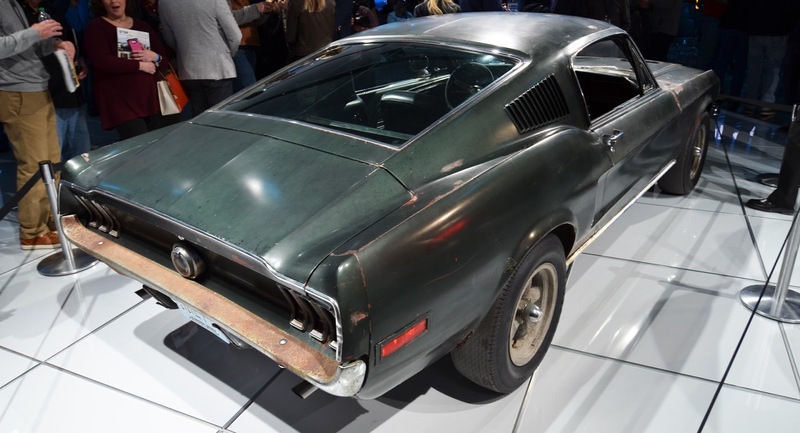 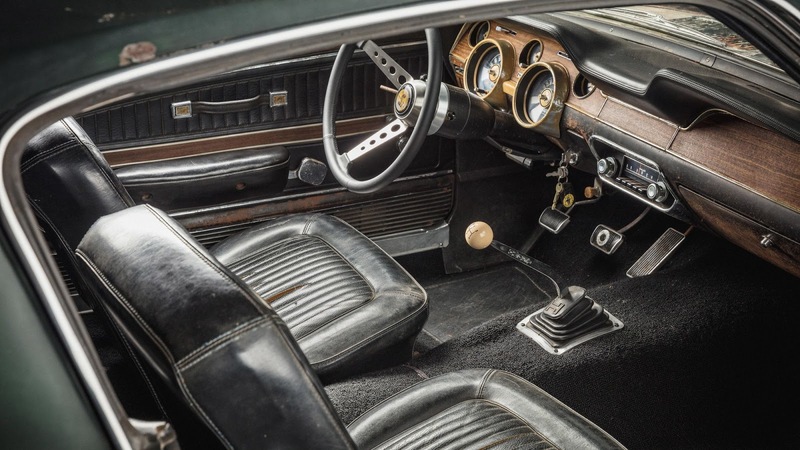 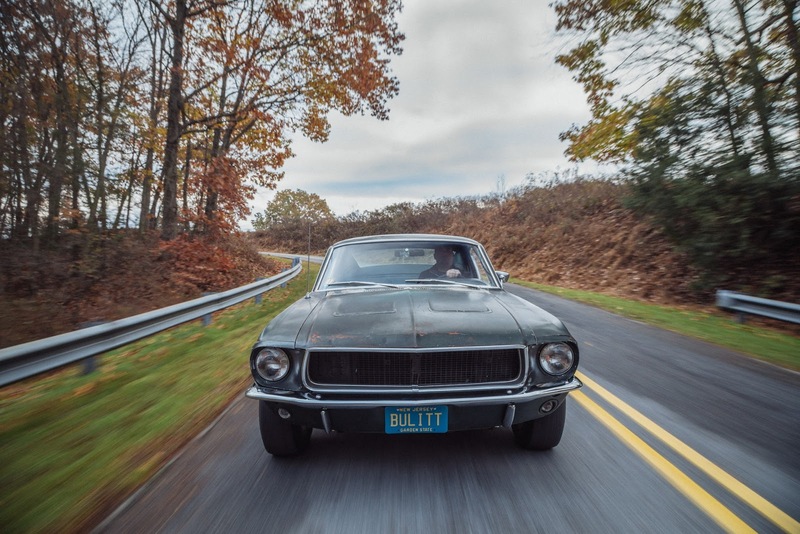 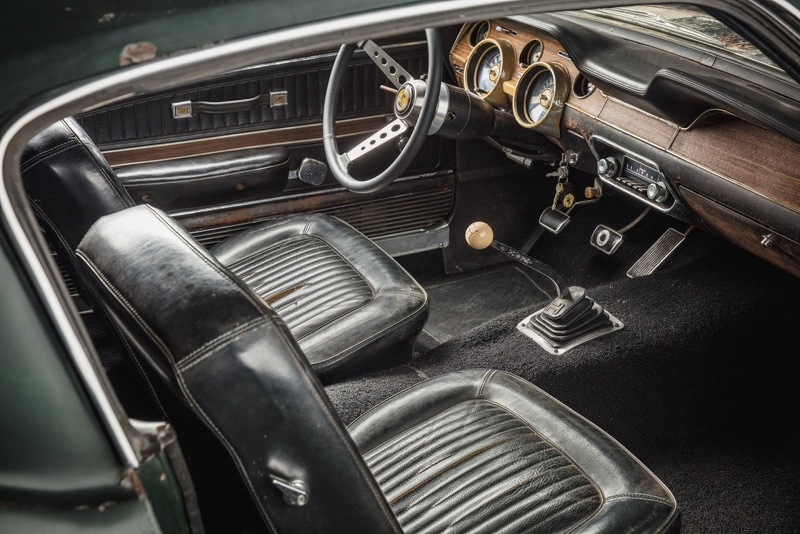 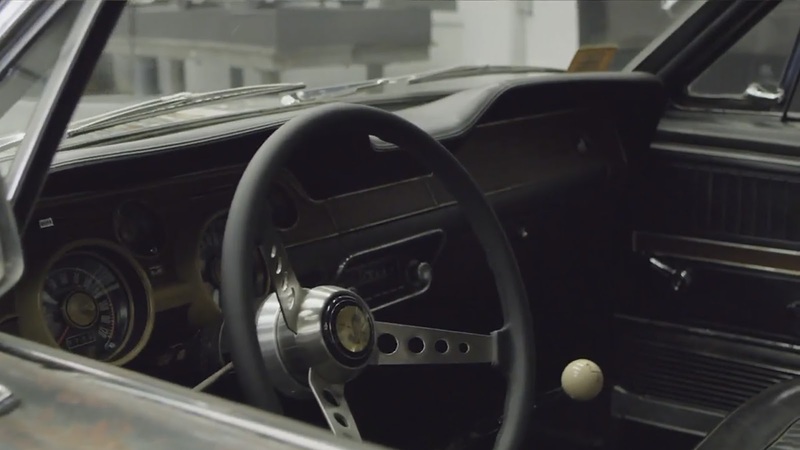 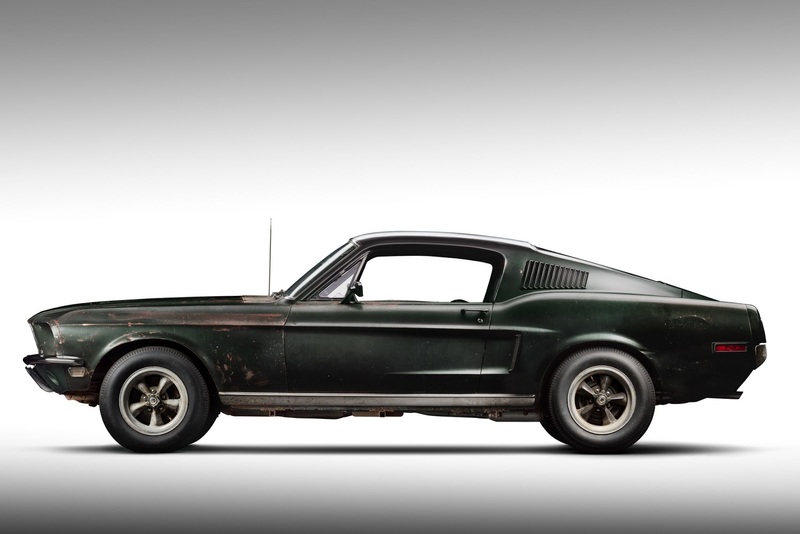 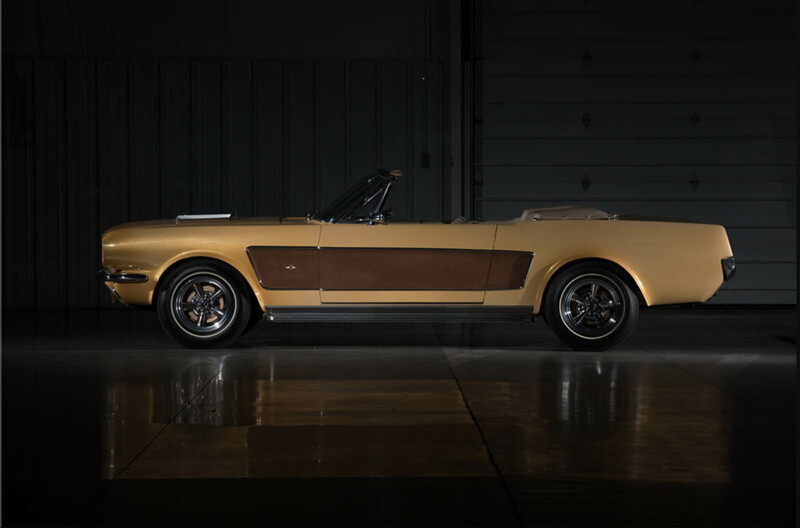 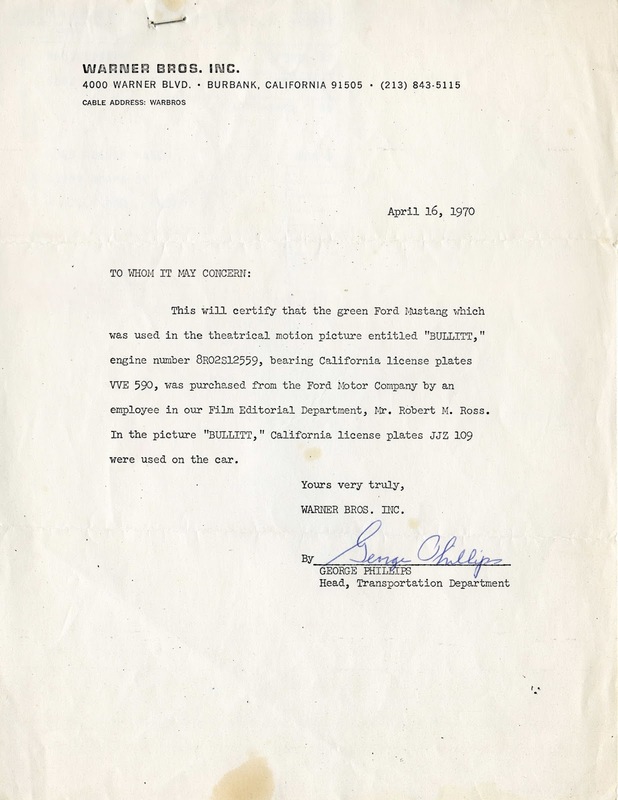 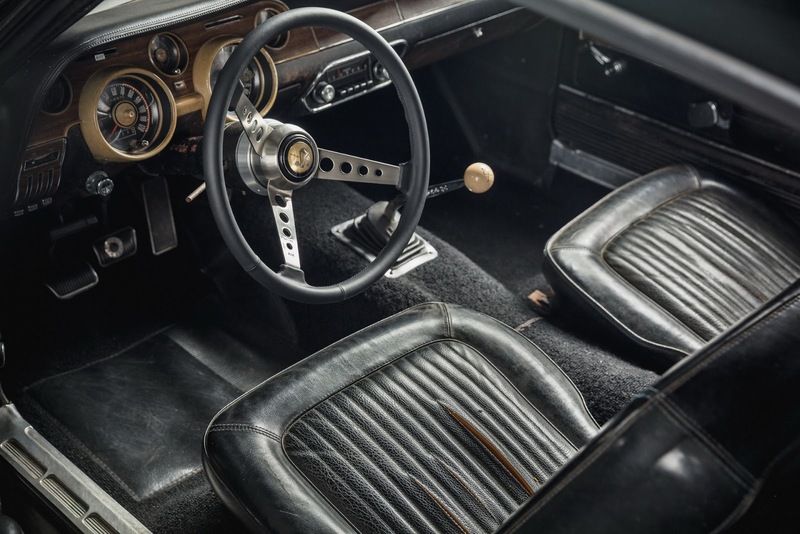 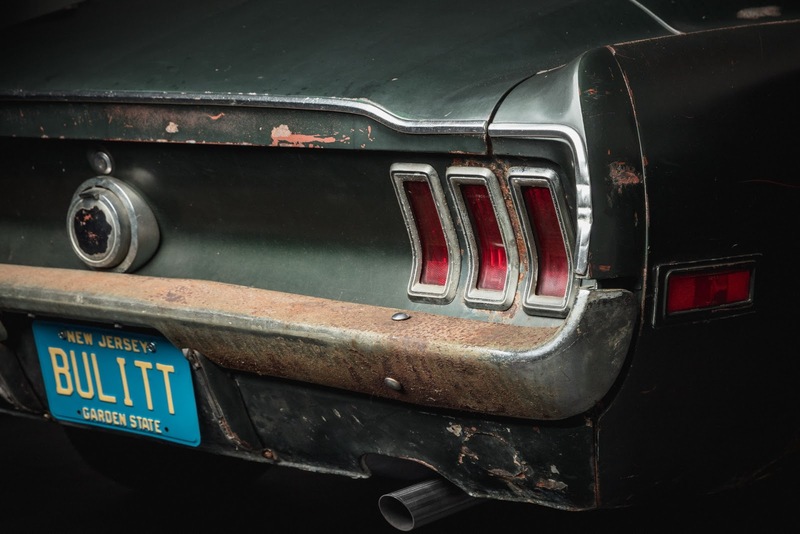 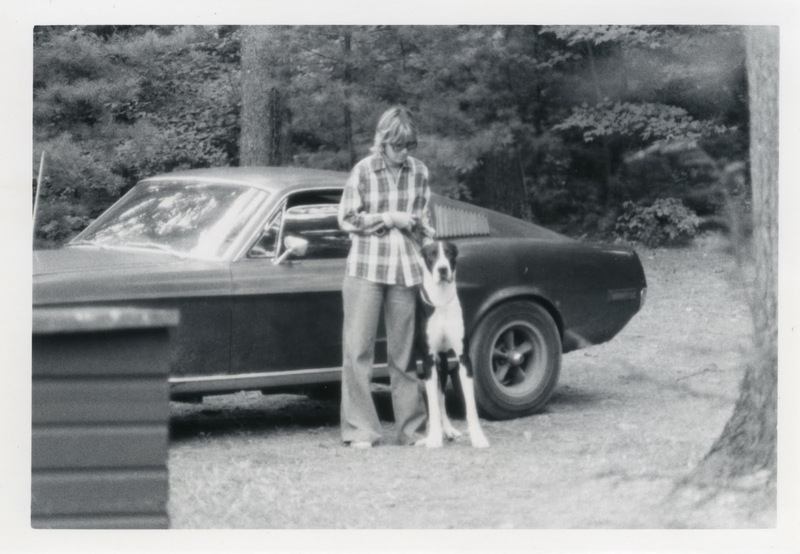 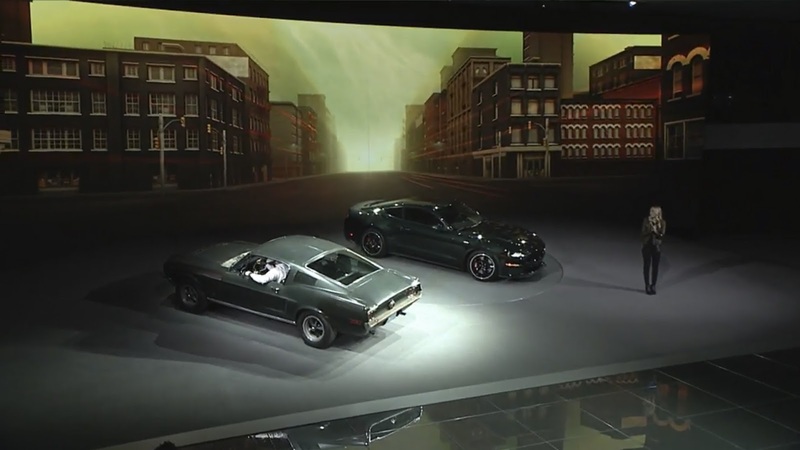 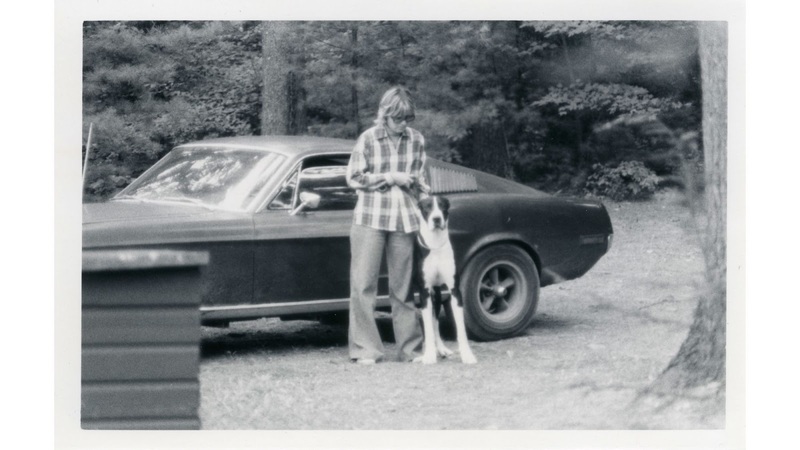 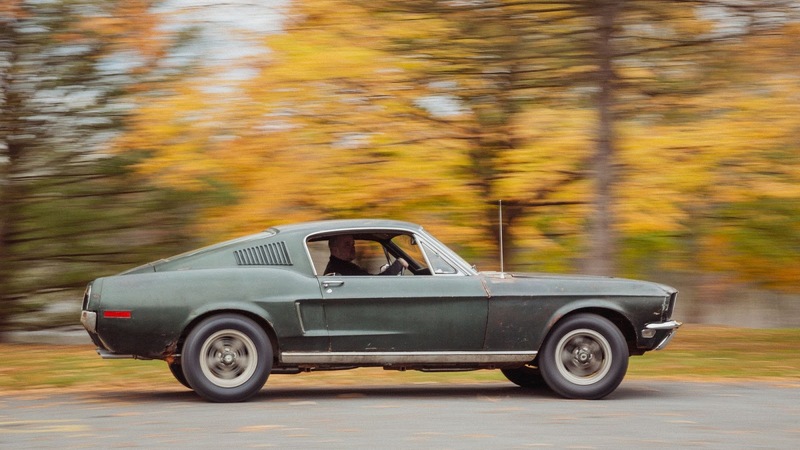 To celebrate the launch of the new car at the Detroit Auto Show, Ford brought along one of two original Mustangs that were used during the filming of Bullitt starring Steve McQueen. 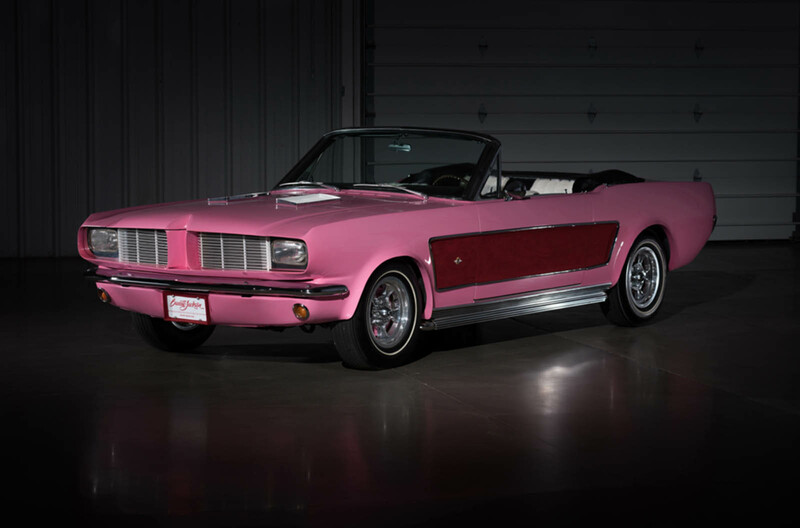 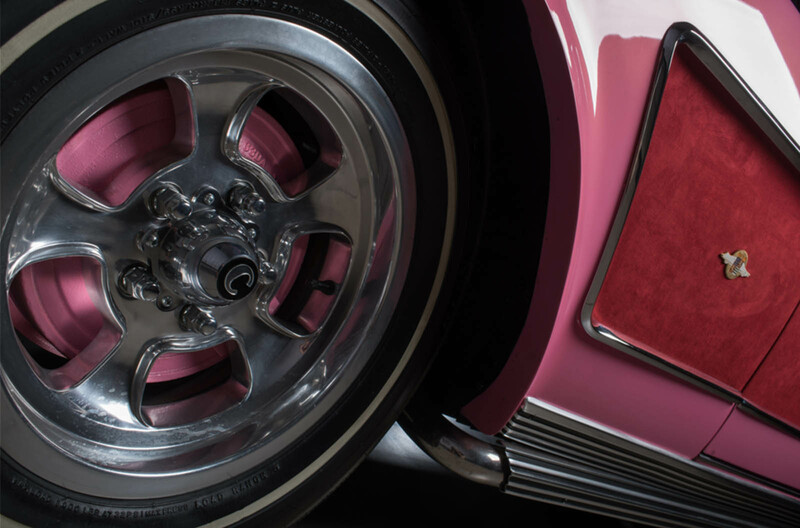 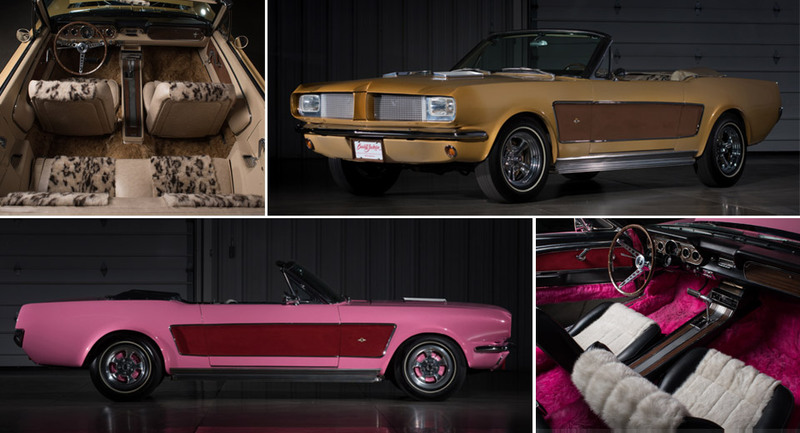 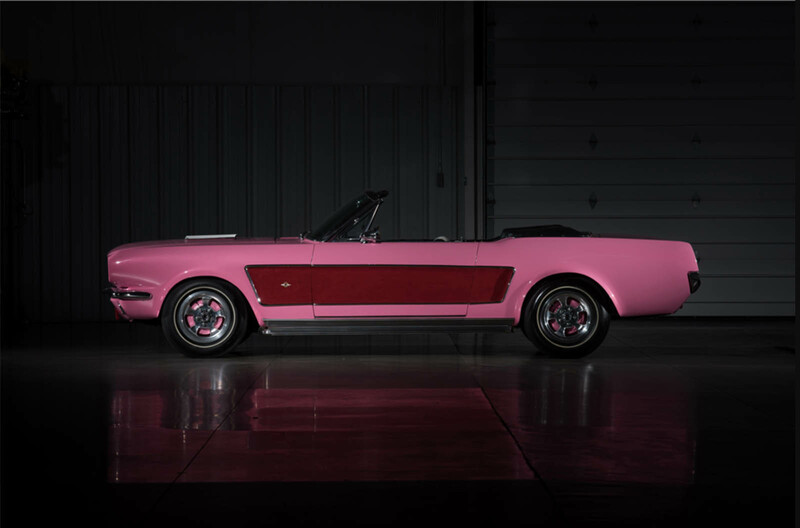 This car has been in a private collection for nearly 40 years and was the glamour car used in the iconic movie. 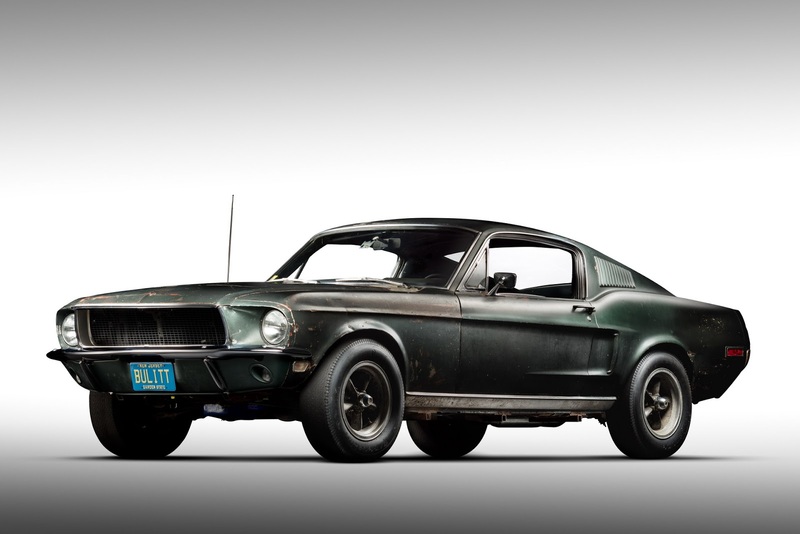 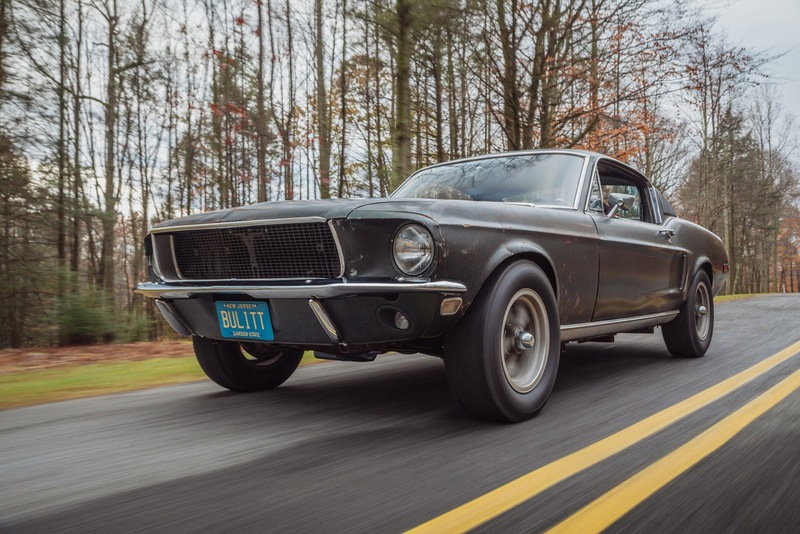 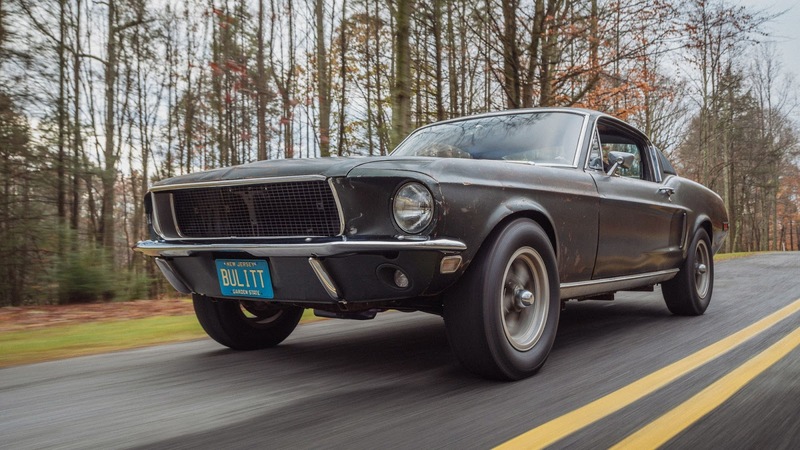 Unlike the original stunt car which was recently discovered in Mexico and was almost transformed into an Eleanor, this 1968 Mustang Bullitt remains completely original. 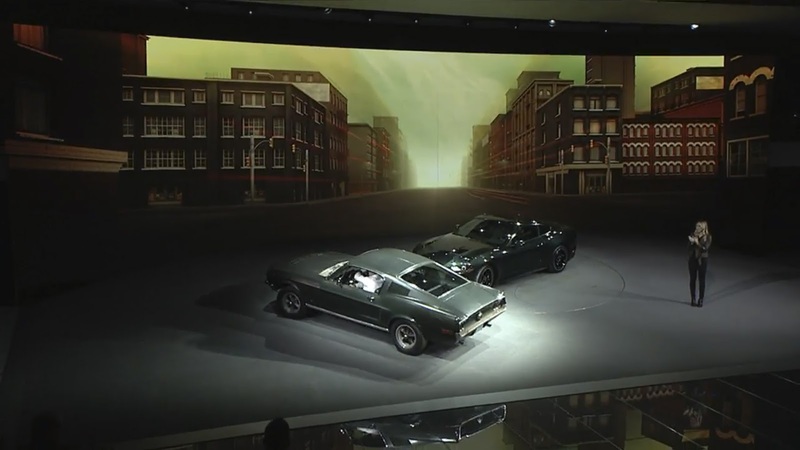 On the eve of the show, it was revealed to Molly McQueen, the granddaughter of Steve McQueen, for the very first time. 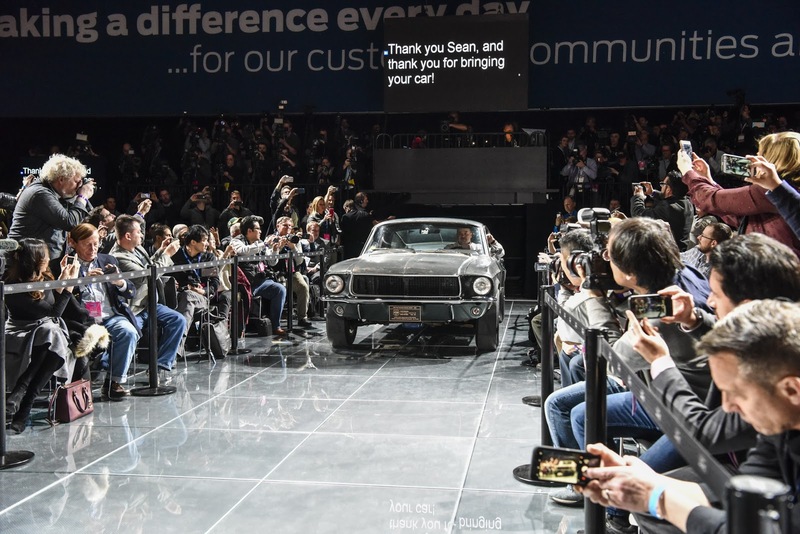 The car is currently owned by Sean Kiernan and will likely remain in his ownership, despite being valued by Hagerty at roughly $4 million. 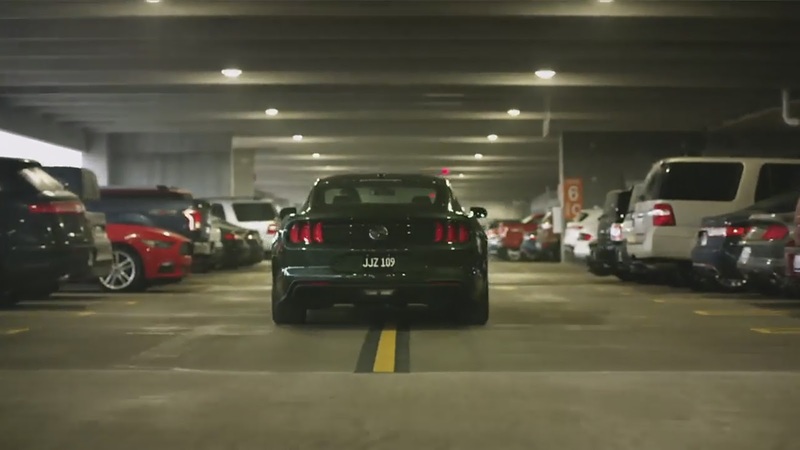 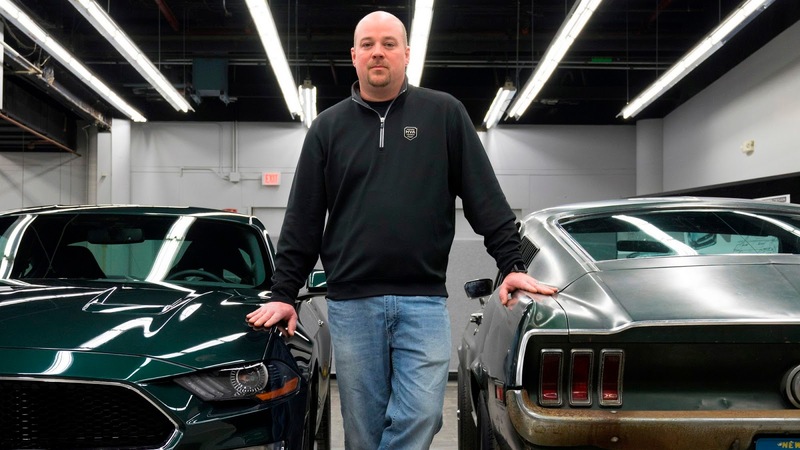 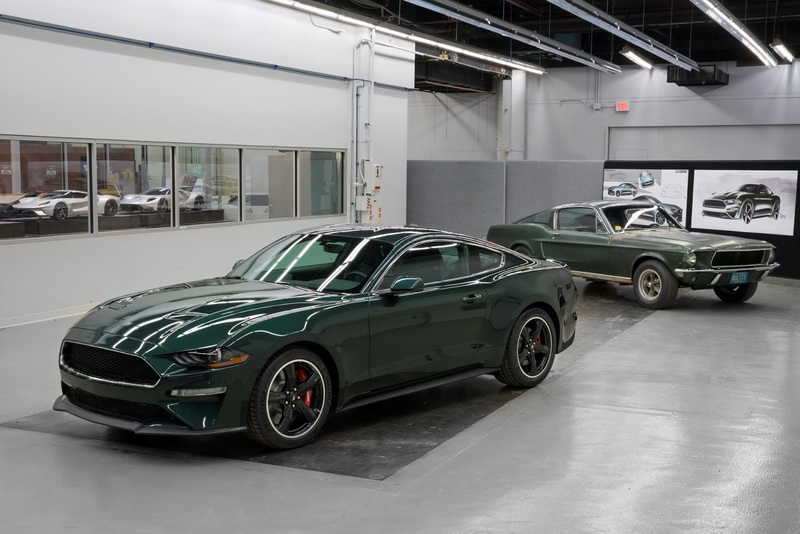 To honor the original Mustang from Bullitt, the new 2019MY car is painted in the same shade of Dark Highland Green and receives a number of chrome accents, 19-inch wheels, red Brembo brake calipers, and a bespoke front grille, together with an upgraded 5.0L V8 engine that will deliver at least 475 horsepower and 420 lb.-ft. of torque, and a bespoke exhaust with a signature sound. 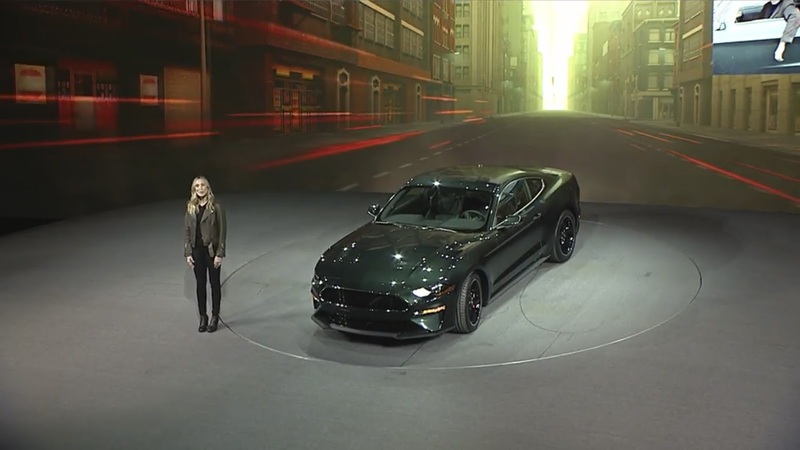 The rumors were true as Ford presented a new generation of its lauded Mustang Bullitt based on the S-550 at the Detroit auto show on Sunday. 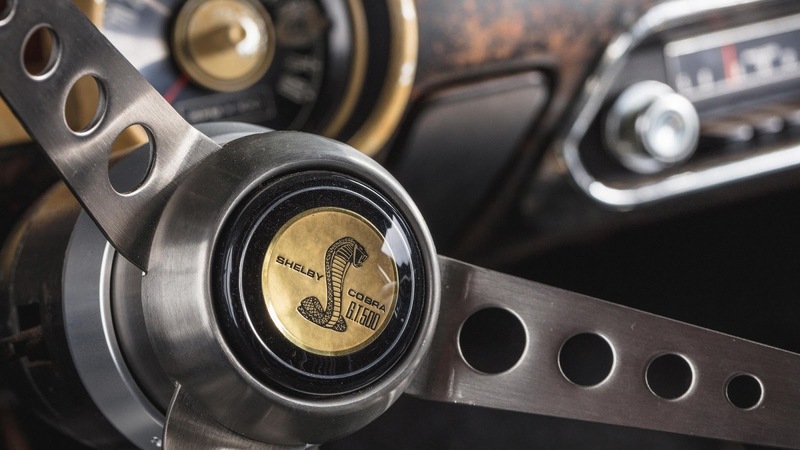 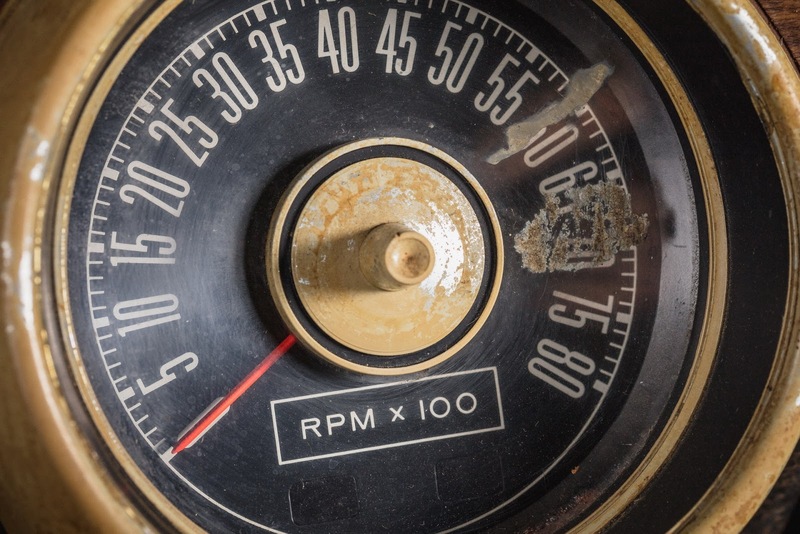 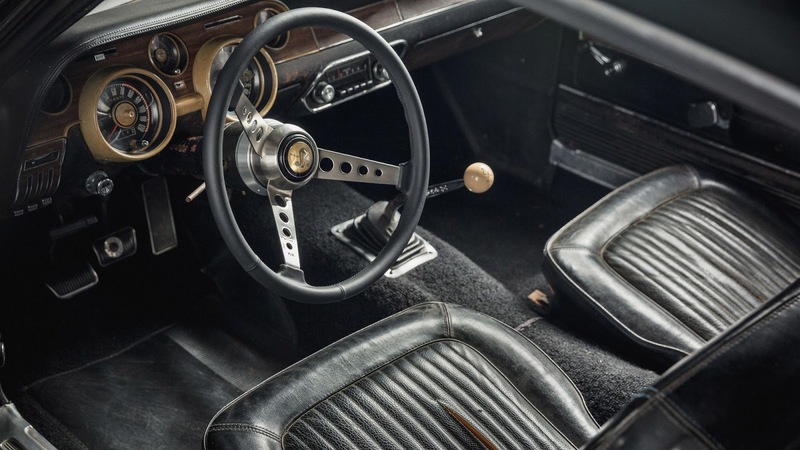 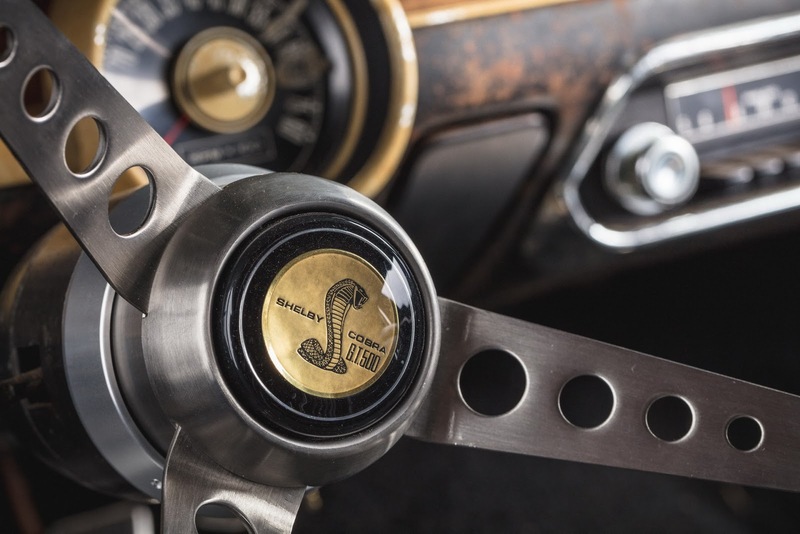 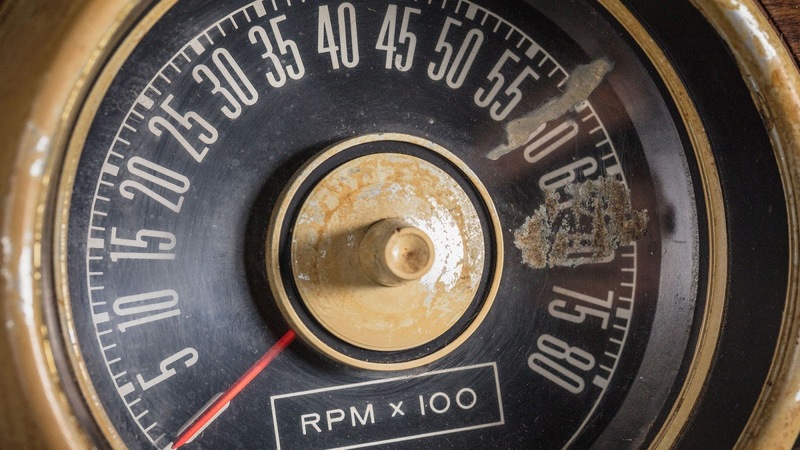 Ford fed this 2019 special-edition Mustang a manual transmission, where the gear shifter features a white cue ball knob as a nod to the car that lit up our movie screens 50 years ago. 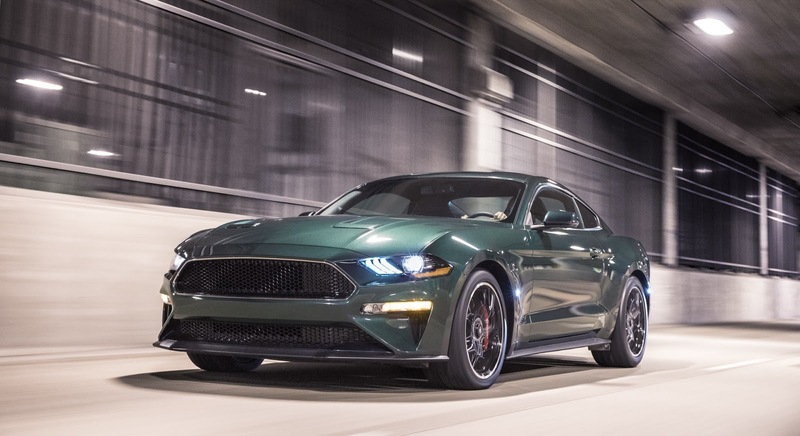 The new Bullitt is also wearing everything from the Mustang GT Premium and Performance Package, while its upgraded 5.0-liter V8 engine pushes down 475 HP and 420 lb-ft (570 Nm) of torque, allowing for a top speed of 163 mph (263 km/h). 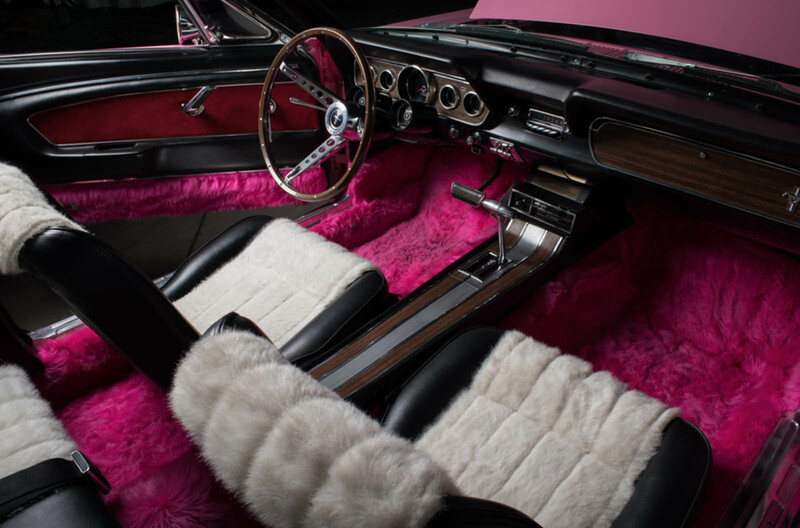 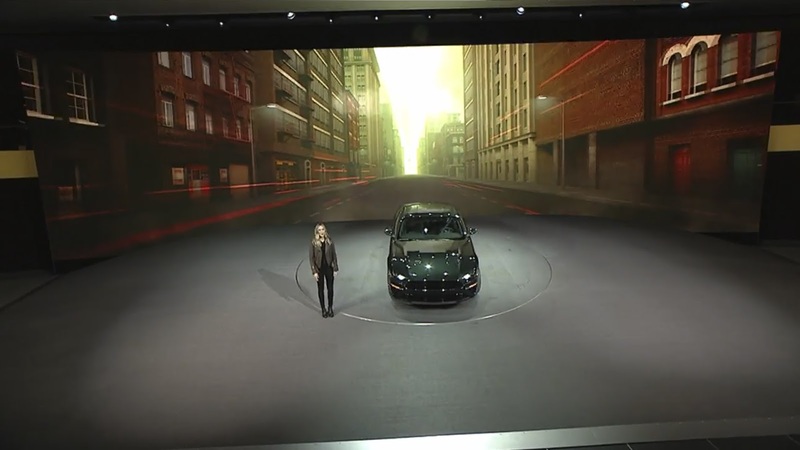 Standard equipment includes the leather steering wheel, unique green accent stitching and a 12″ all-digital LCD instrument cluster (identical to the one in the 2018 Mustang), although the Bullitt comes with a unique welcome screen that features an image of the car instead of the pony logo. 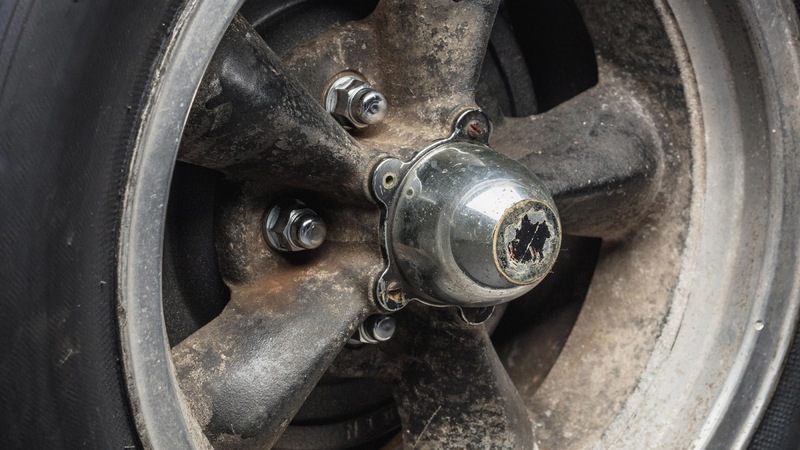 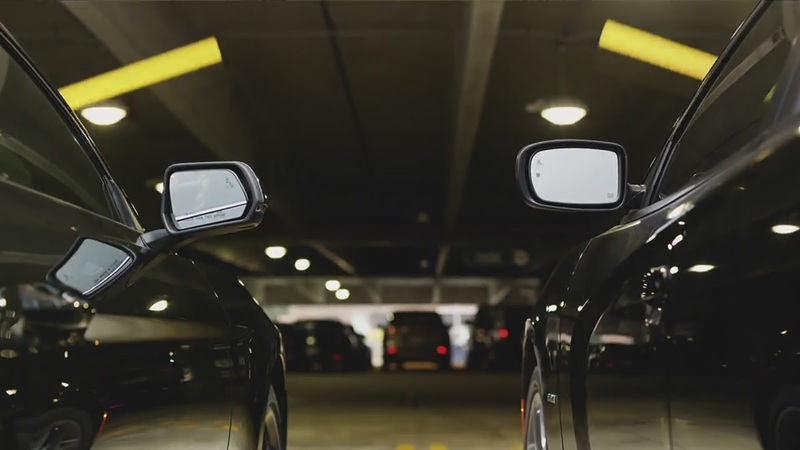 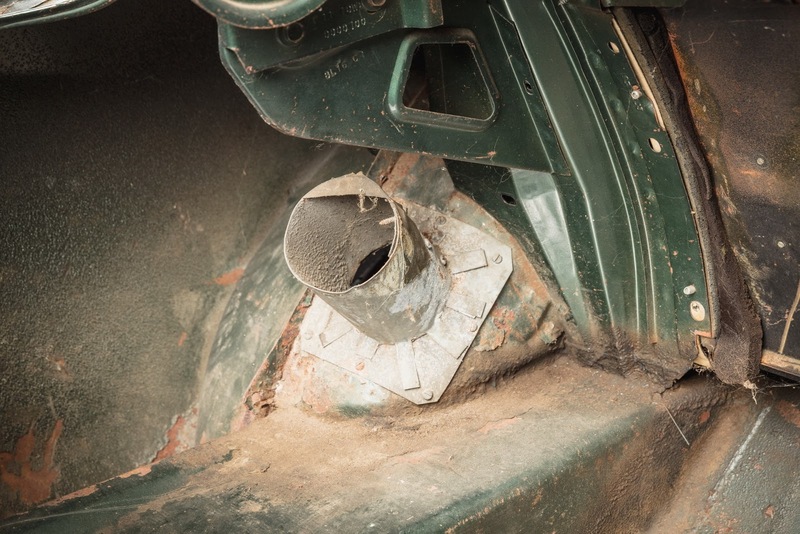 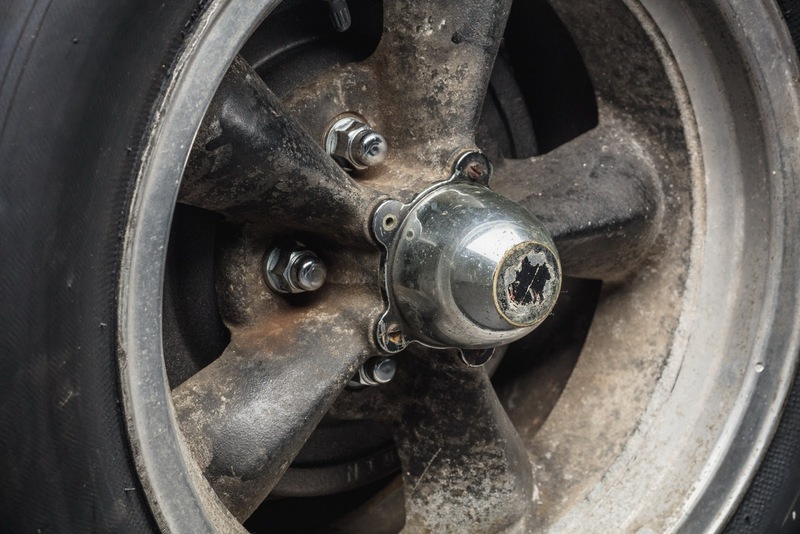 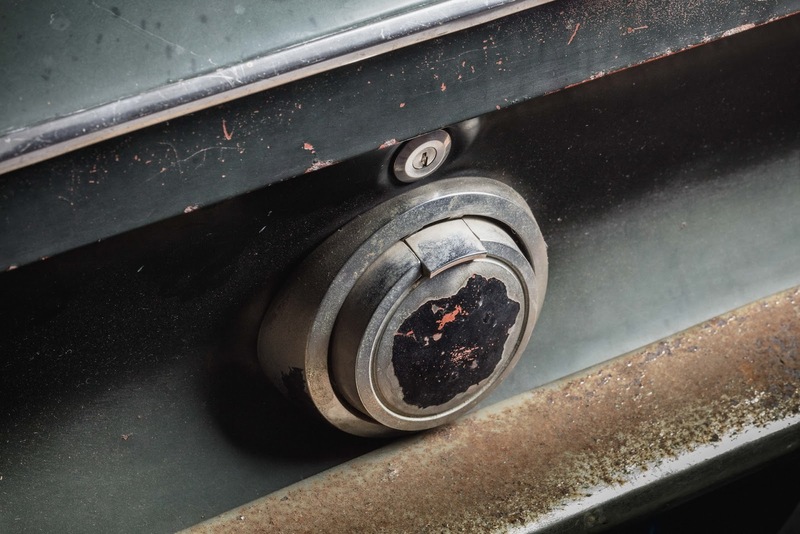 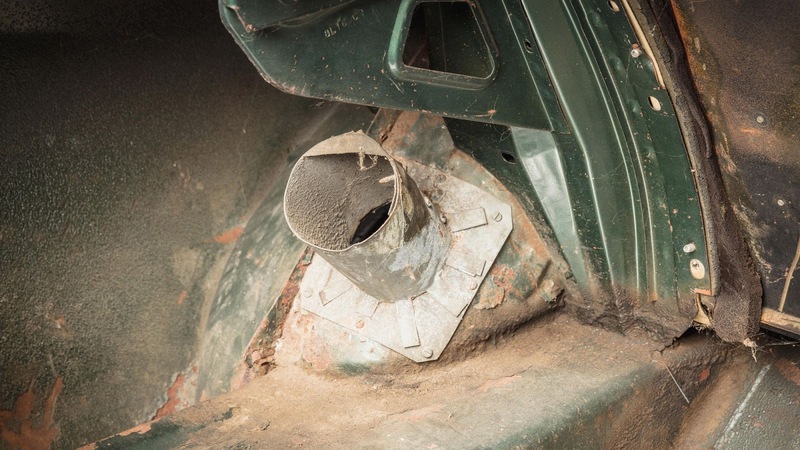 As for why the car sounds the way it does, it’s the standard active valve performance exhaust system with new Black NitroPlate exhaust tips that’s responsible for the signature burble. 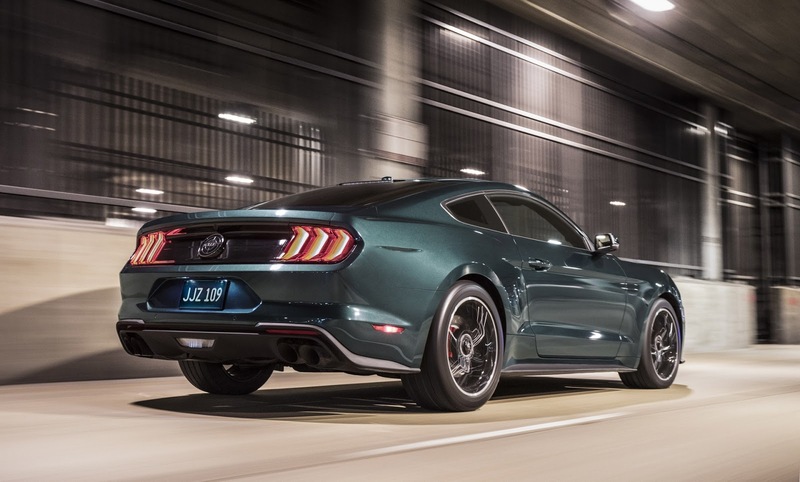 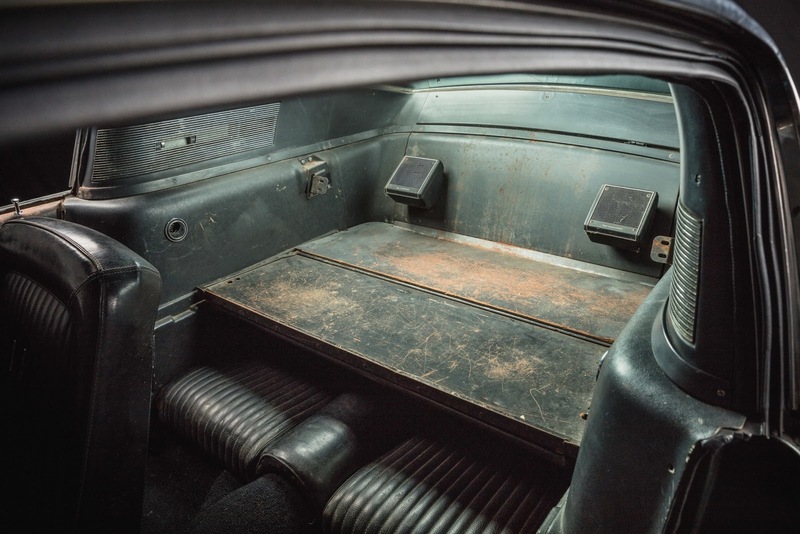 The Bullitt also has a new Open Air Induction System and a Shelby GT350 intake manifold with 87 mm throttle bodies and powertrain control module calibration. 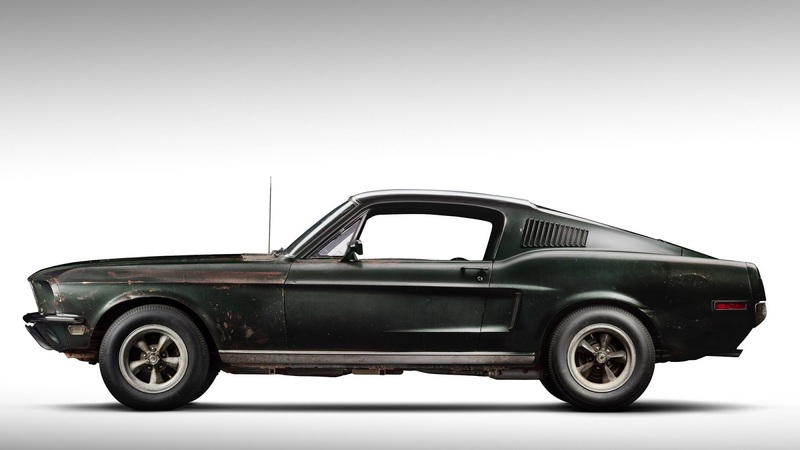 With color options, you get to choose between Shadow Black or the classic Dark Highland Green (like in the movie). 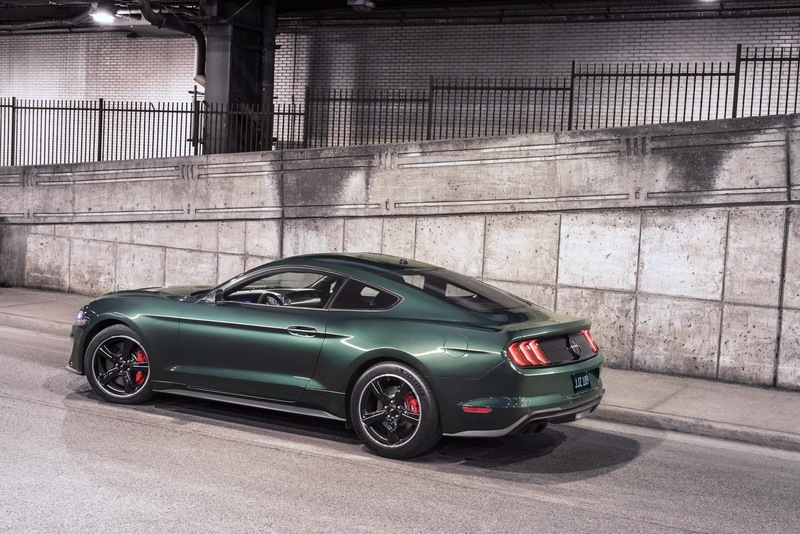 Then there are the subtle chrome accents (around the grille and front windows), 19″ wheels, red-painted Brembo brakes and the bespoke front grille. 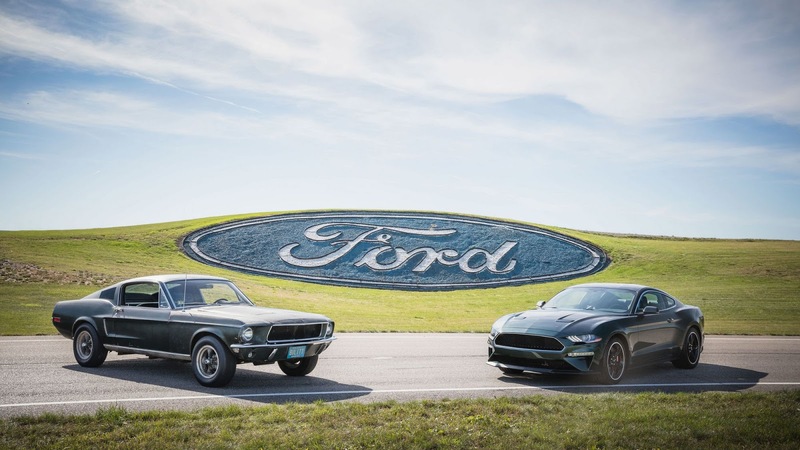 Put it all together and you’ll find that the 2019 car does a good job paying tribute to the original. 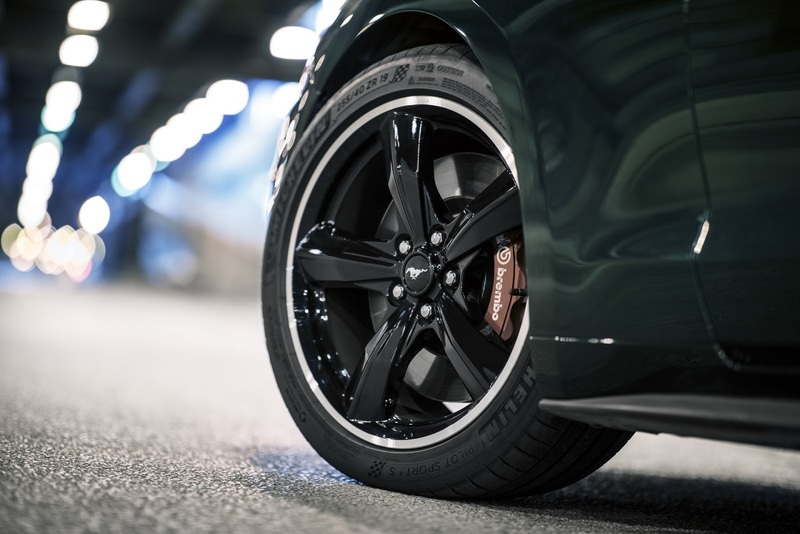 Customers are limited to just three factory options, the MagneRide semi-active suspension system, the black leather-trimmed Recaro seats and the Electronics Package, which includes sat-nav, driver memory seats and mirrors, an upgraded sound system and Blind Spot Information with Cross-Traffic Alert. 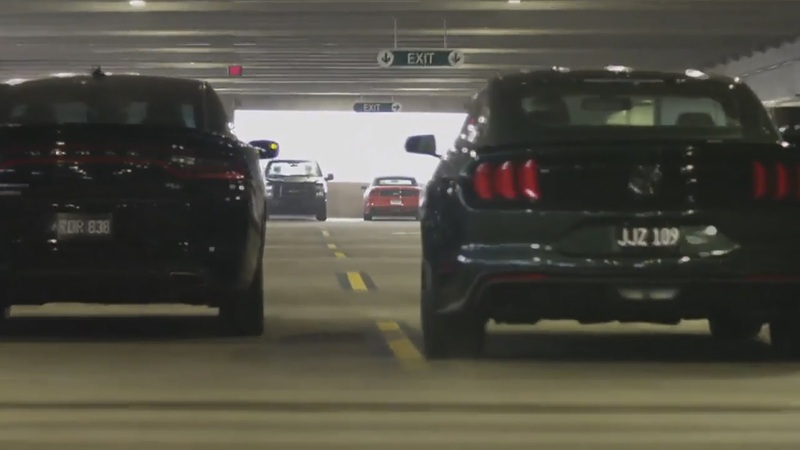 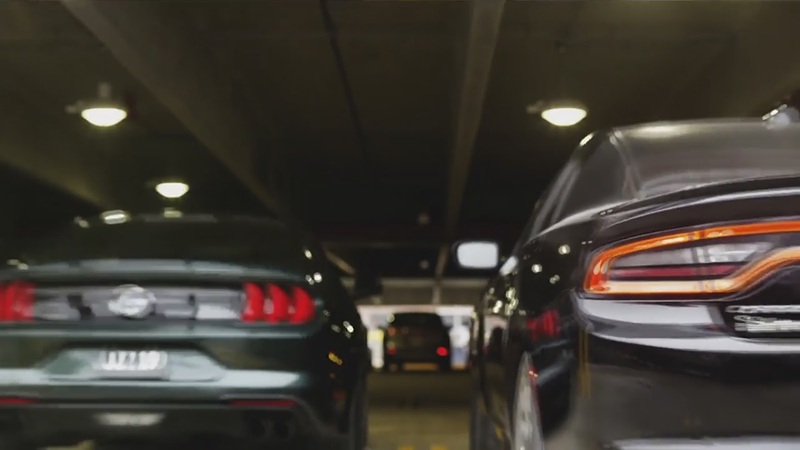 To sum it up, the 475 HP Bullitt Mustang is 8 mph (13 km/h) faster than the 460 HP Mustang GT, has bespoke visuals inside and out and sounds a lot more intimidating. 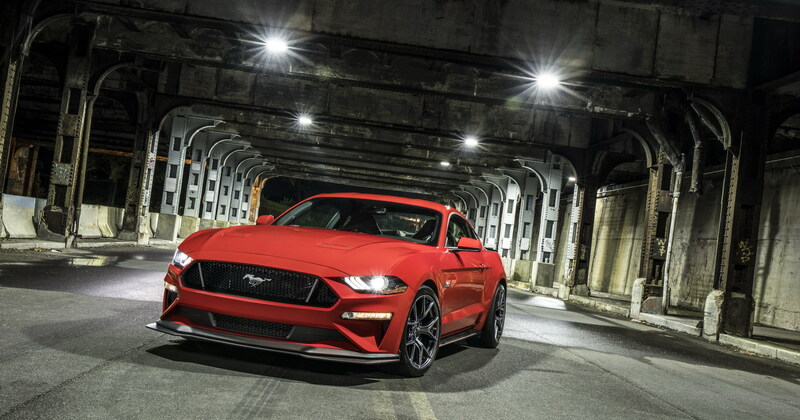 Renowned Ford specialist Steeda has added the Mustang GT on its tuning list in the European market. 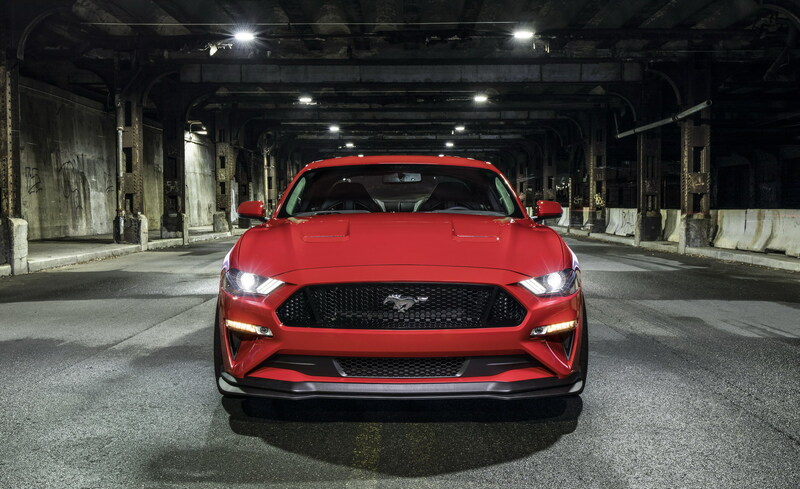 Upgrades include revised engine mapping, increased stabilized flow of cool air, and the addition of a custom exhaust system, which helps the 5.0-liter V8 unit make 480PS (473hp) and 752Nm(555lb-ft) of torque. 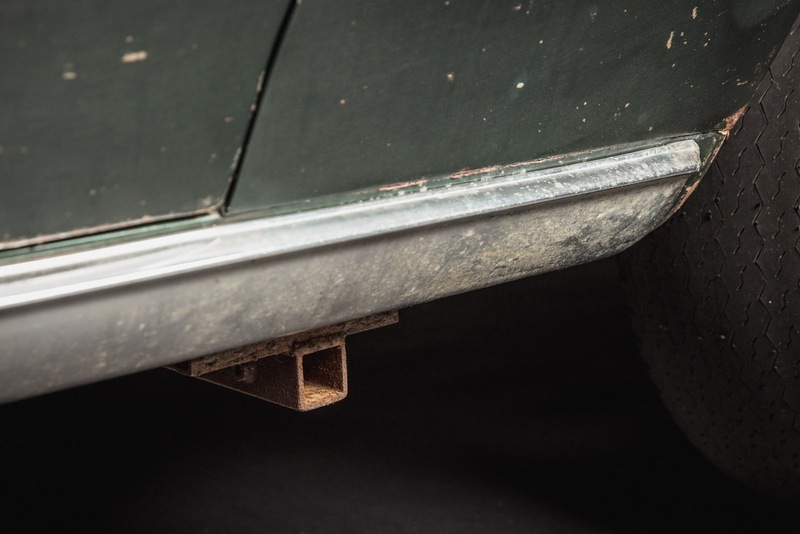 Significant changes have been made to the car’s chassis and suspension setup as well, as the range-topping V8 model, baptized Q500 by Steeda, now has thicker adjustable anti-roll bars on both ends, with solid billet ends and mounts. 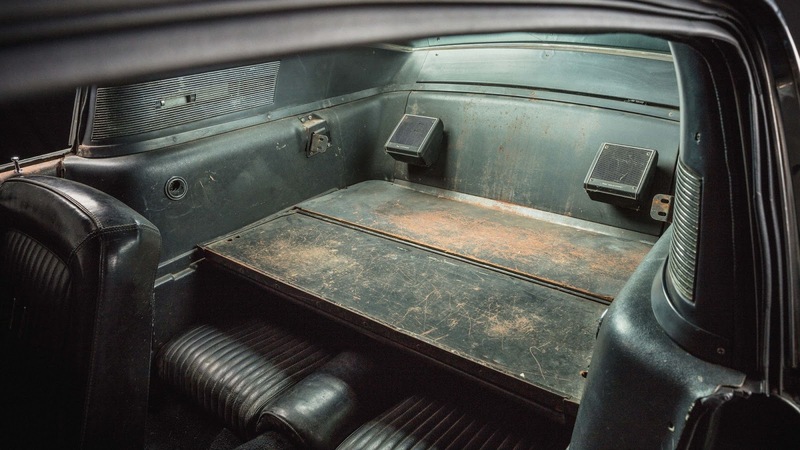 It also gets progressive rate springs, strut tower brace, and upgraded bushes for the independent rear suspension. 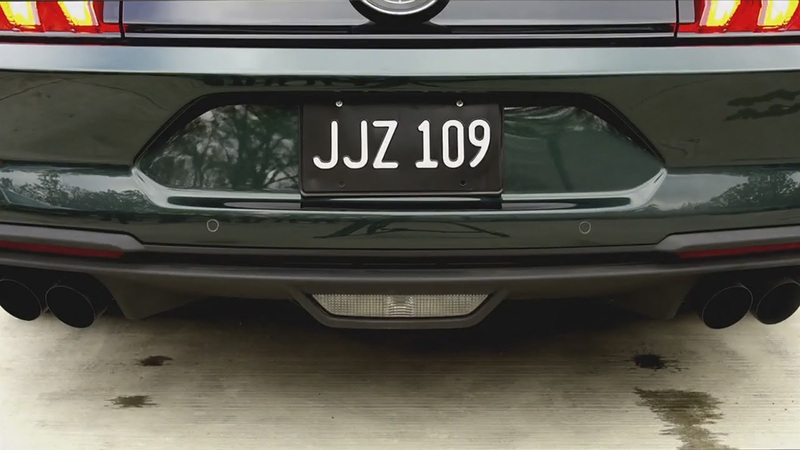 The result of all of this is a lowered stance, and improved cornering abilities, without sacrificing the comfort level. 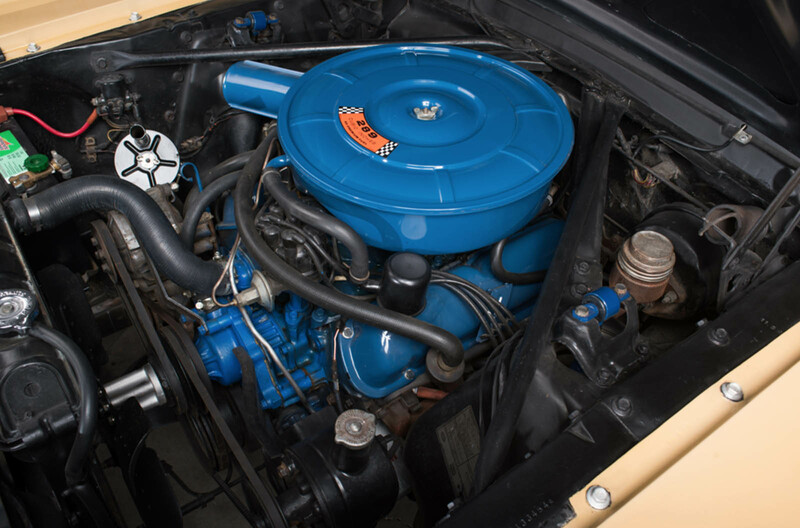 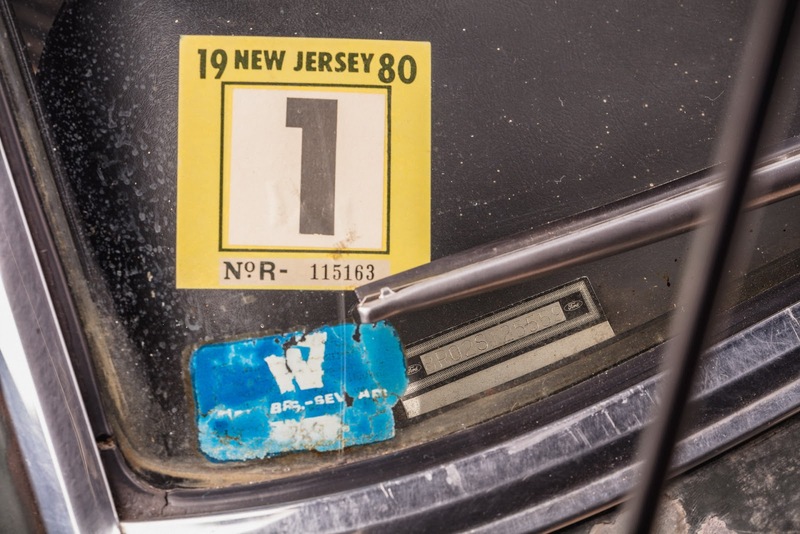 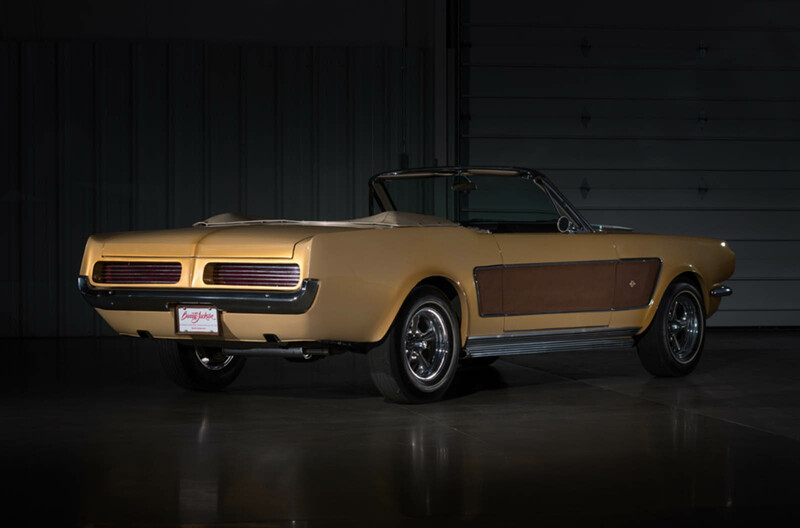 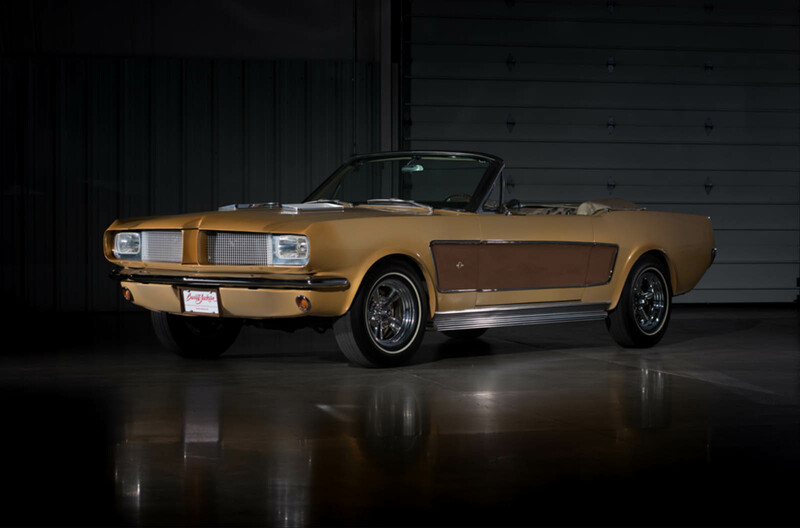 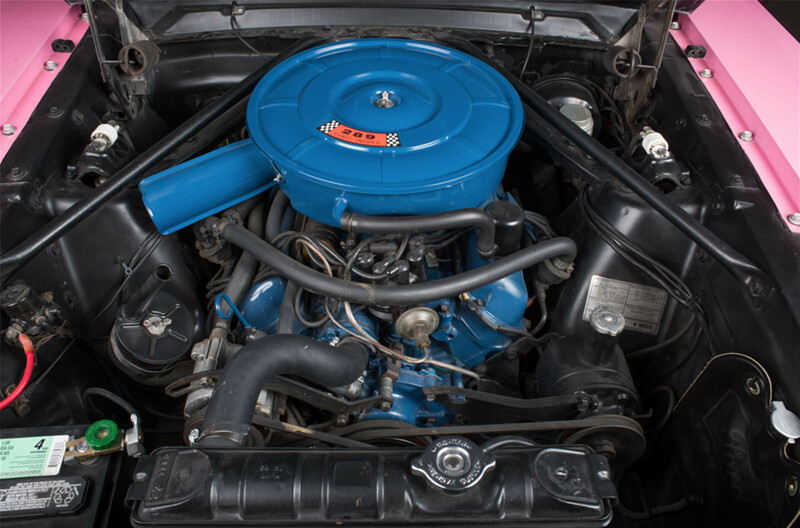 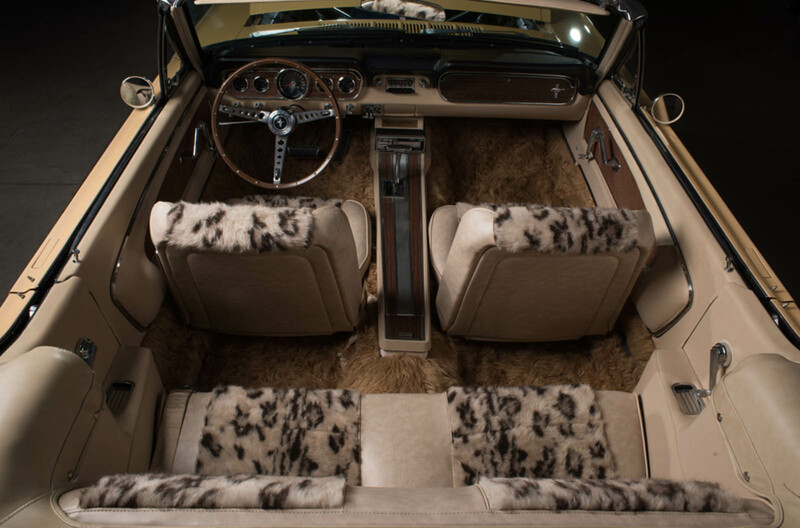 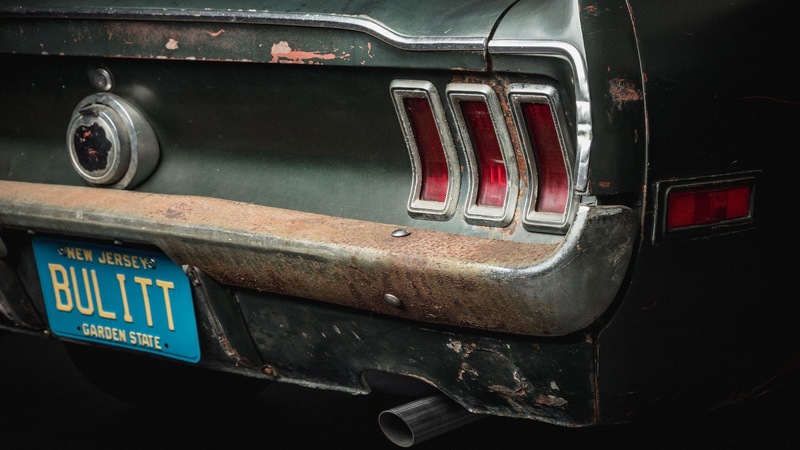 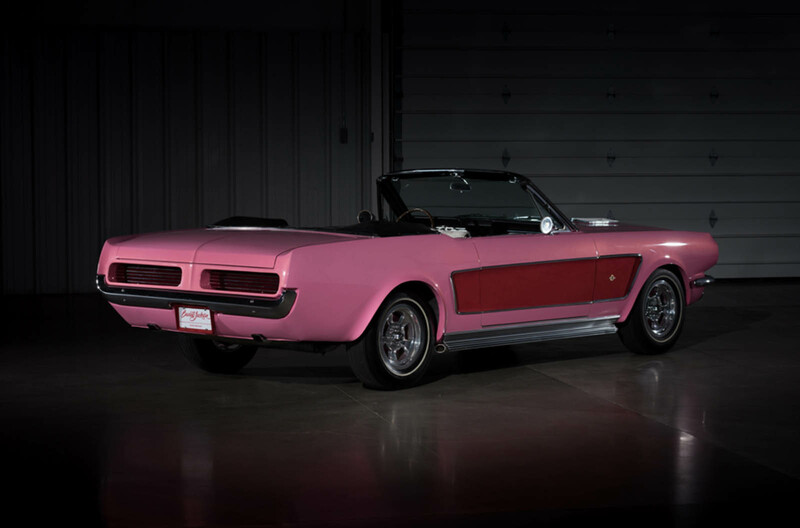 Elsewhere, the pony car features subtle exterior styling that’s said to “tighten” its “iconic lines”, and it includes a discrete front splitter and ducktail spoiler, both of them playing a major role in the Mustang’s improved aerodynamics. 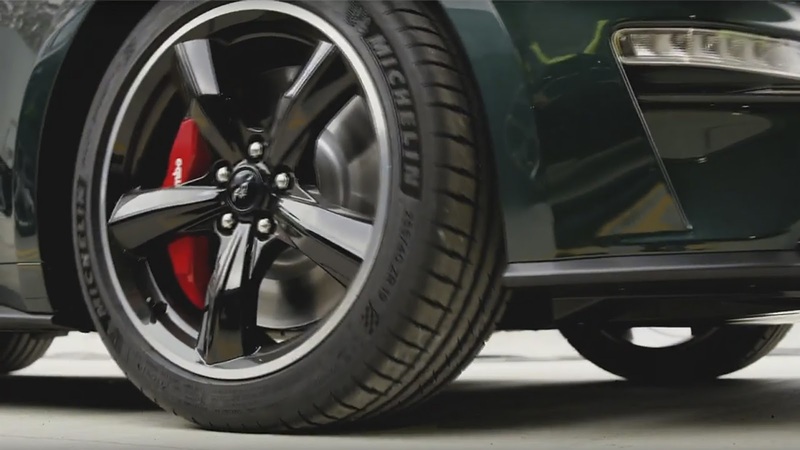 These can be complemented by 20-inch rims, wrapped in Michelin Pilot Sport 4S tires, or Cup derivative for the track-focused variants. 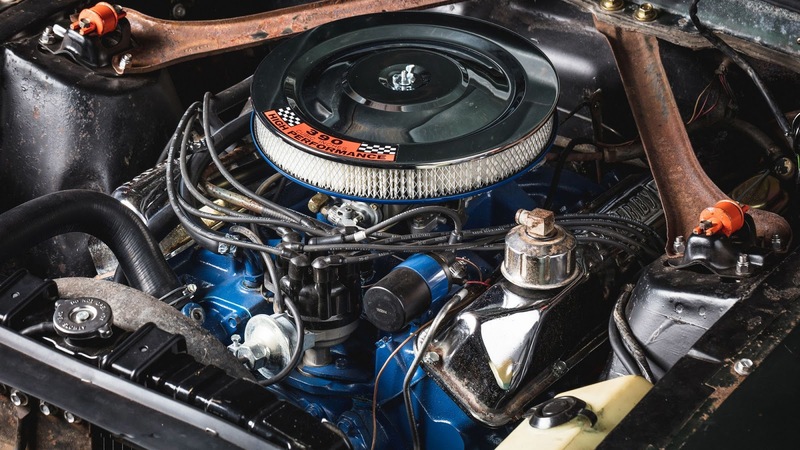 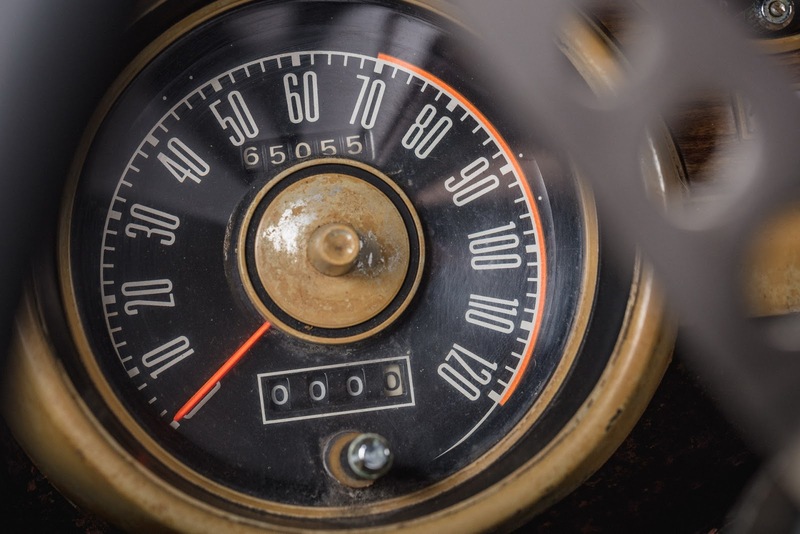 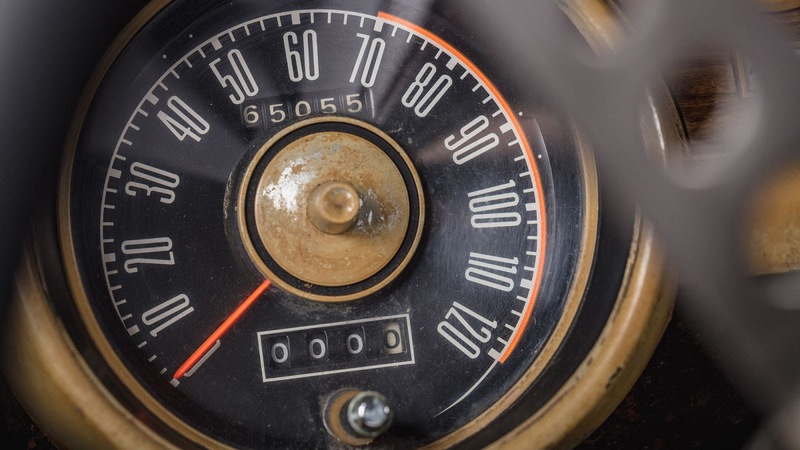 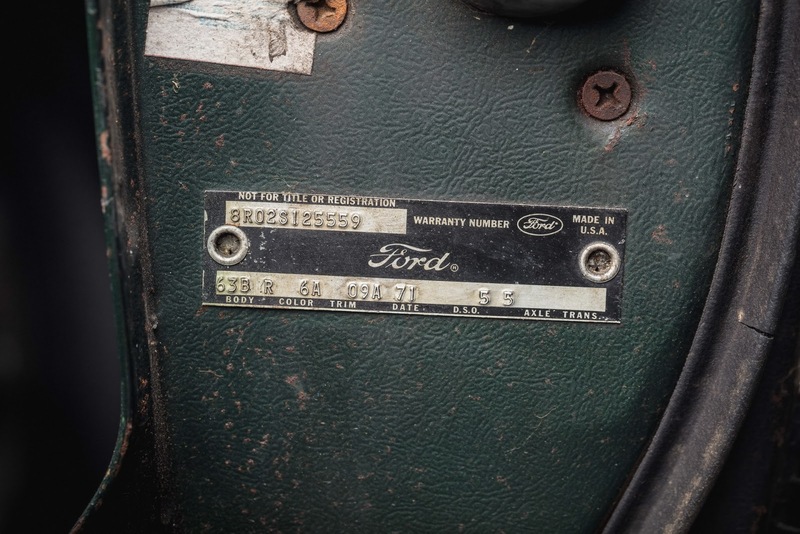 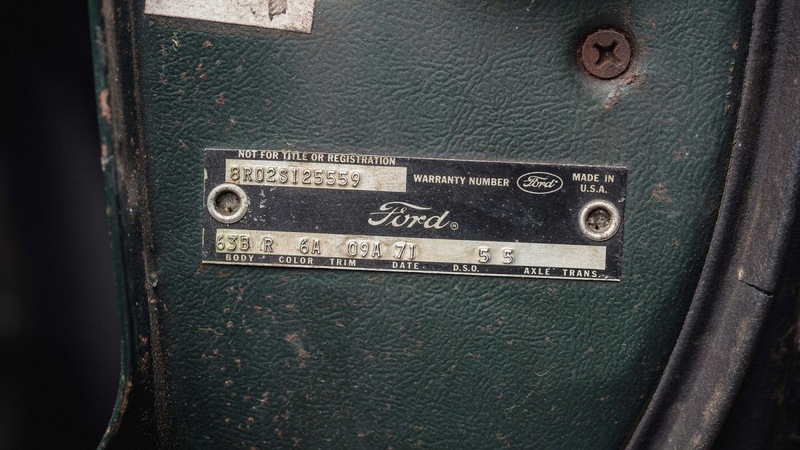 The entire bundle of upgrades costs £8,998 ($12,167) in Britain, is available to order at Ford dealer Haynes of Maindstone, in Kent, and can be specified during build or retrofitted at a later stage. 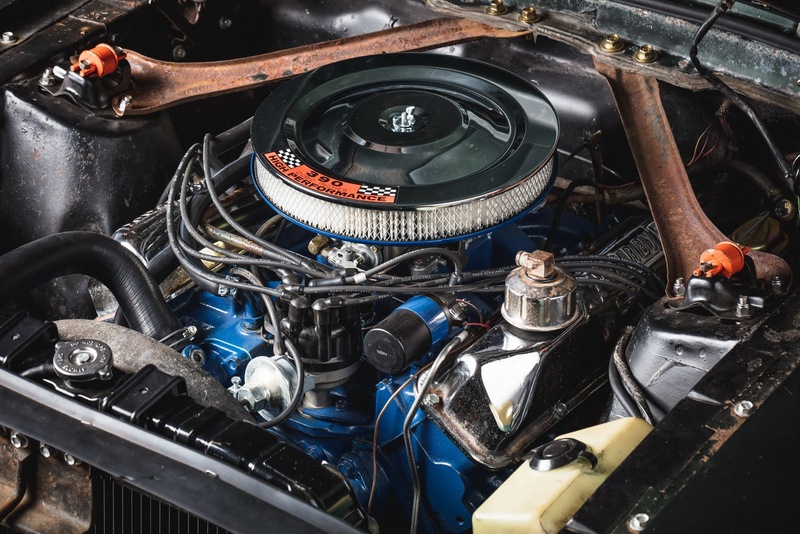 Steeda offers a range of options as well, such as the coilover kit, heavy-duty Tremec Magnum XL six-speed manual gearbox, upgraded twin-plate clutch, heavy-duty aluminum driveshafts, ventilated discs, and custom paint finishes for the calipers and engine compartment. 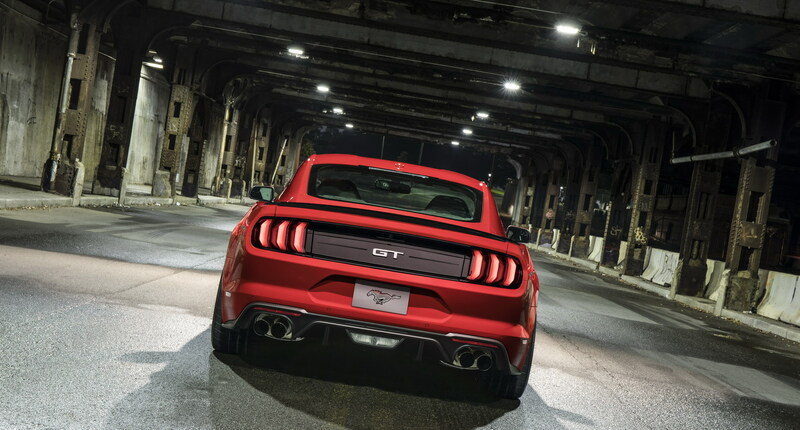 Moving forward, the tuner will be focusing its attention on the 2018 Ford Mustang, which arrives in Europe later this year. 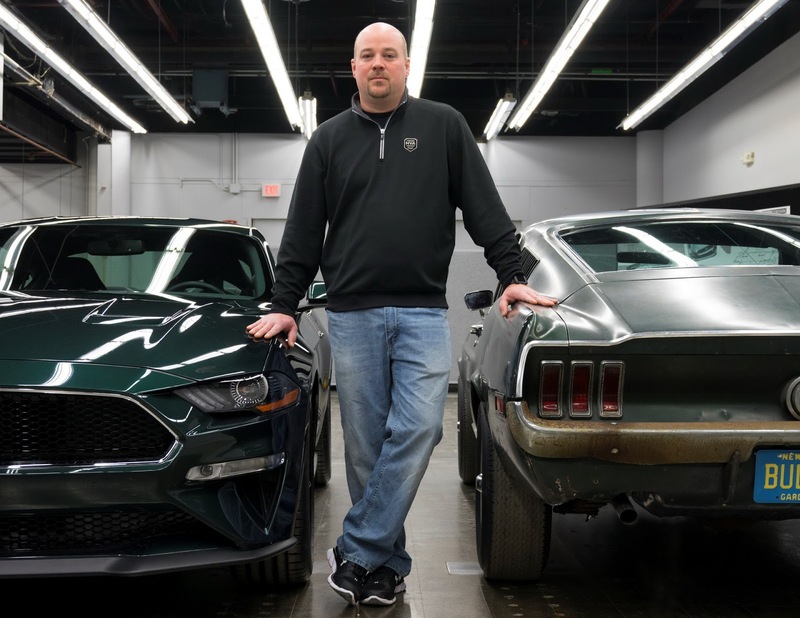 It seems that Ford might be planning a surprise unveiling for the all-new Bullitt Mustang during this year’s Detroit Auto Show. 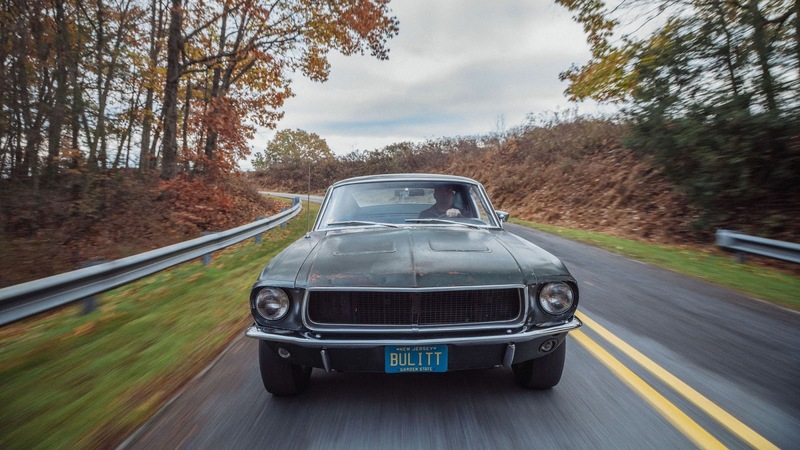 A source told Autonews that the Bullitt will be unveiled at NAIAS as a 2018 model, just in time for the 50th anniversary of the famous Steve McQueen movie which came out in 1968, featuring an iconic car chase scene. 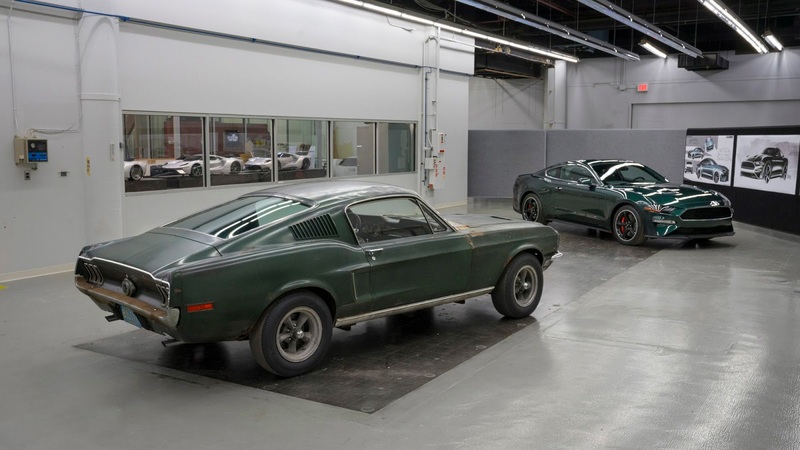 The Bullitt Mustang was also not among the cars previewed by Ford for the media earlier this month, but we’ve know for quite some time that an unveiling would happen sooner rather than later, with leaks springing up as early as February 2017. 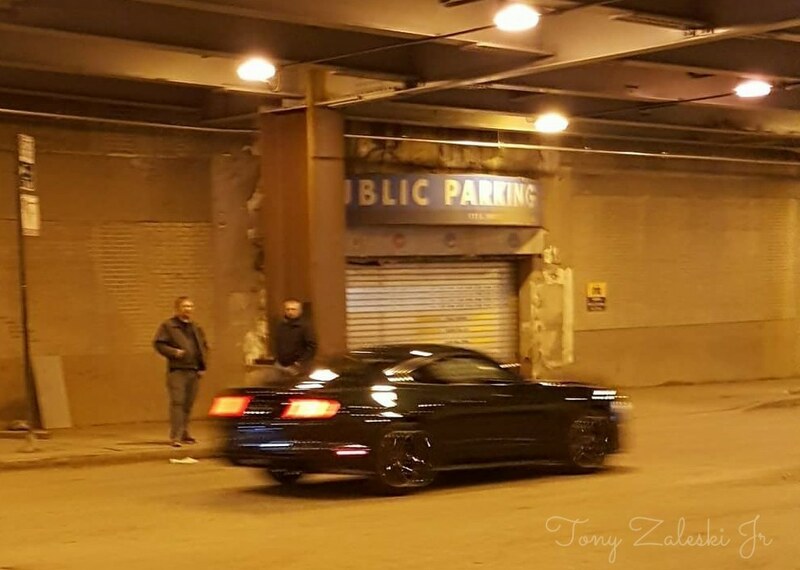 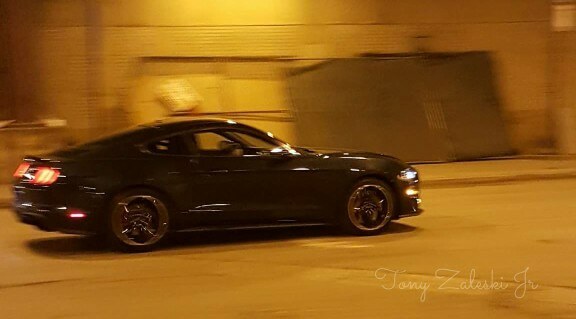 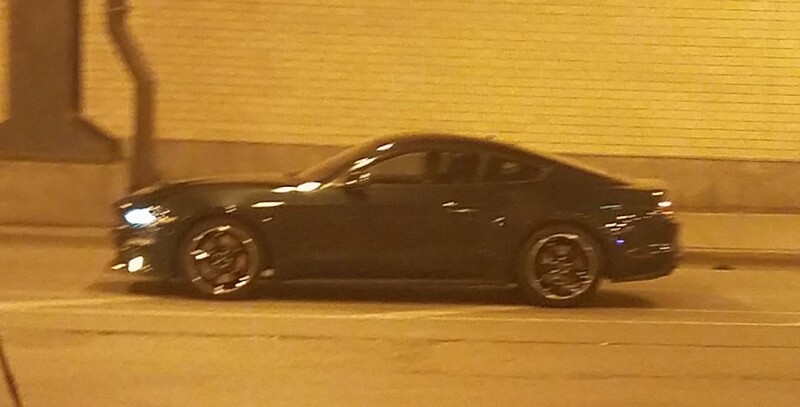 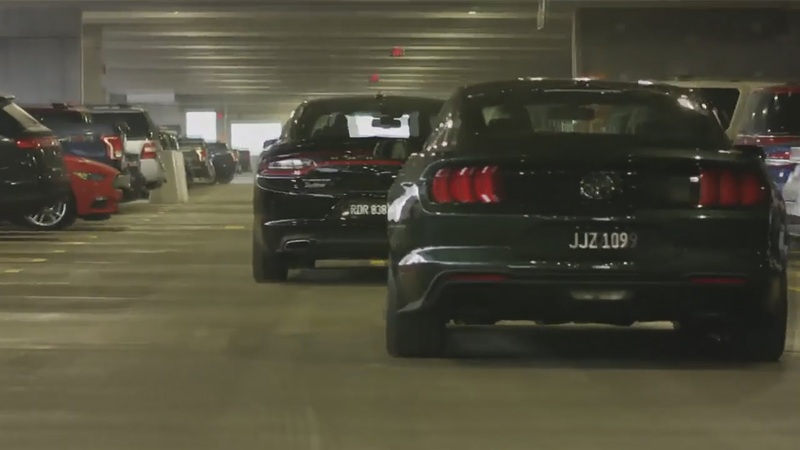 Last month, thanks to a Mustang6g forum member, we caught a glimpse of what appeared to be the Dark Highland Green 2018 Bullitt, filming a commercial in Chicago. 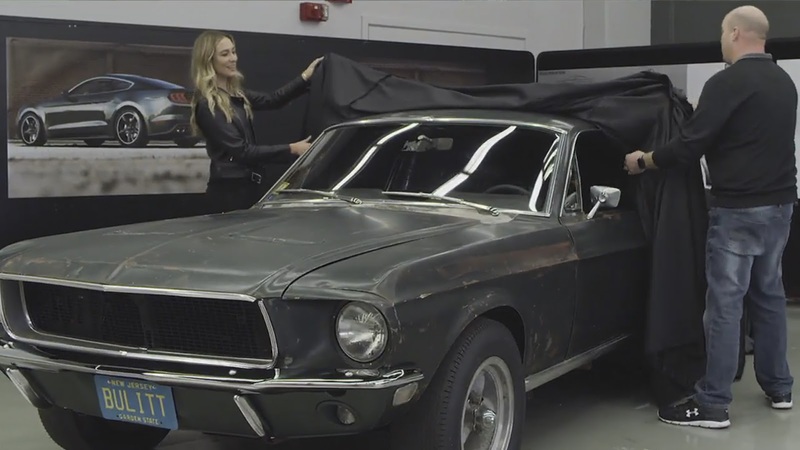 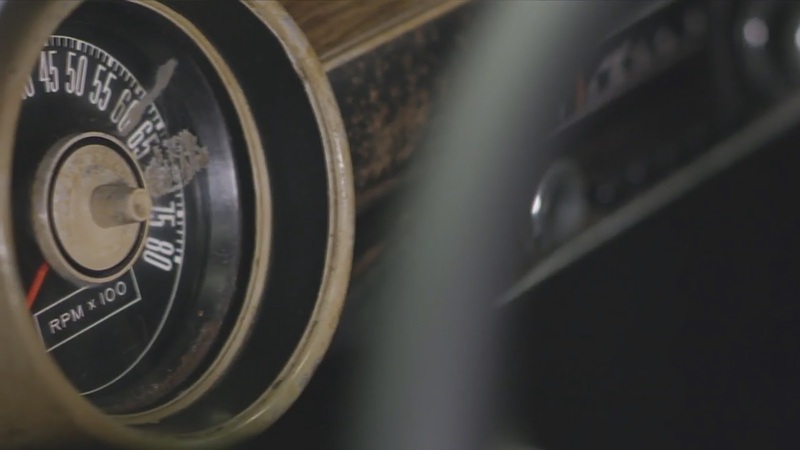 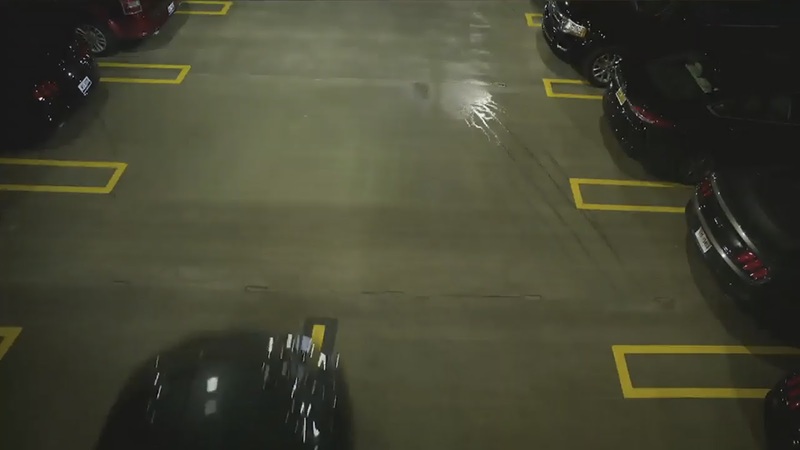 Meanwhile, earlier in the year, the same car appeared on a board found in a behind-the-scenes video featuring Dwayne “The Rock” Johnson. 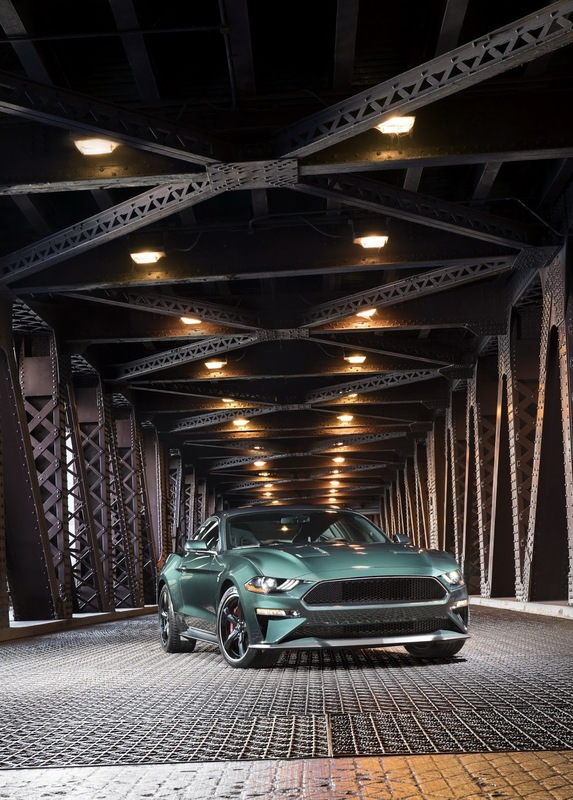 Powered by a 5.0-liter Coyote V8, the 2018 Bullitt Mustang will come with an upgraded suspension, five-spoke black and chrome alloys, black tailpipes, red Brembo brakes and Recaro seats. 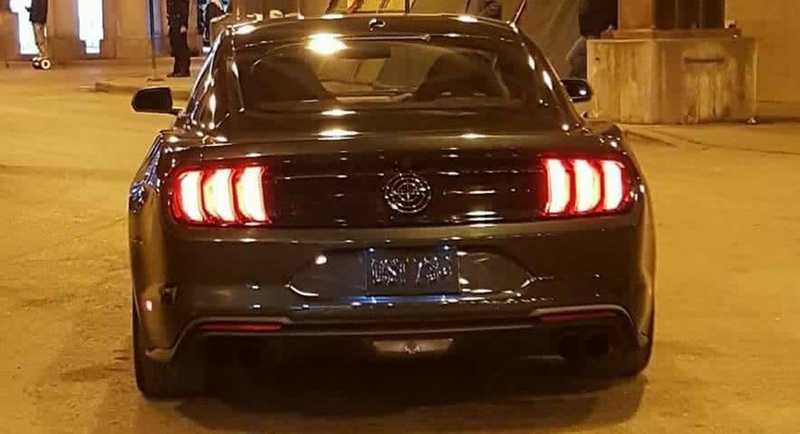 There will also be a faux gas cap with a crosshair on the rear fascia, instead of the ‘GT’ badge. 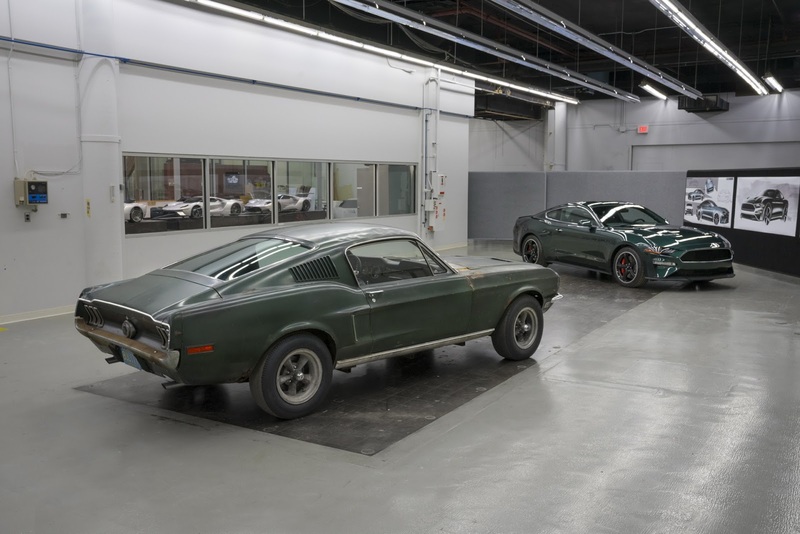 The long-awaited 2018 Ford Mustang Bullitt has yet to premiere but it has already emerged that the first production example will be sold by Barrett-Jackson at the company’s Scottsdale auction on January 19, 2018. 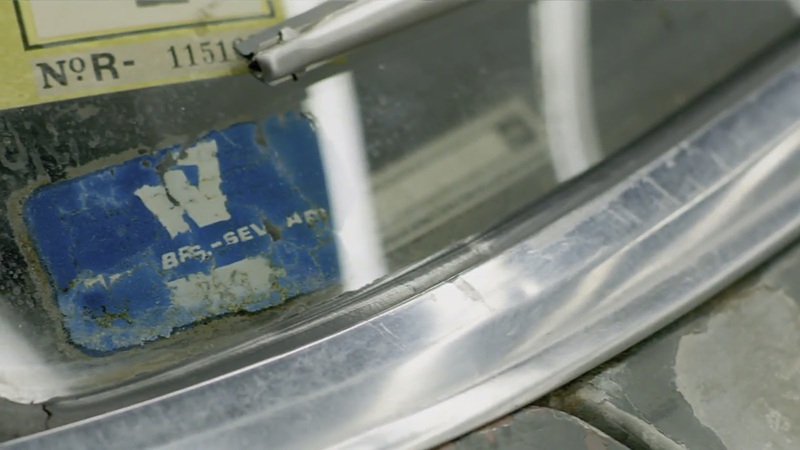 Boys Republic is a private, all-boys school for troubled adolescents in California. 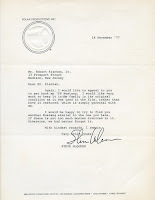 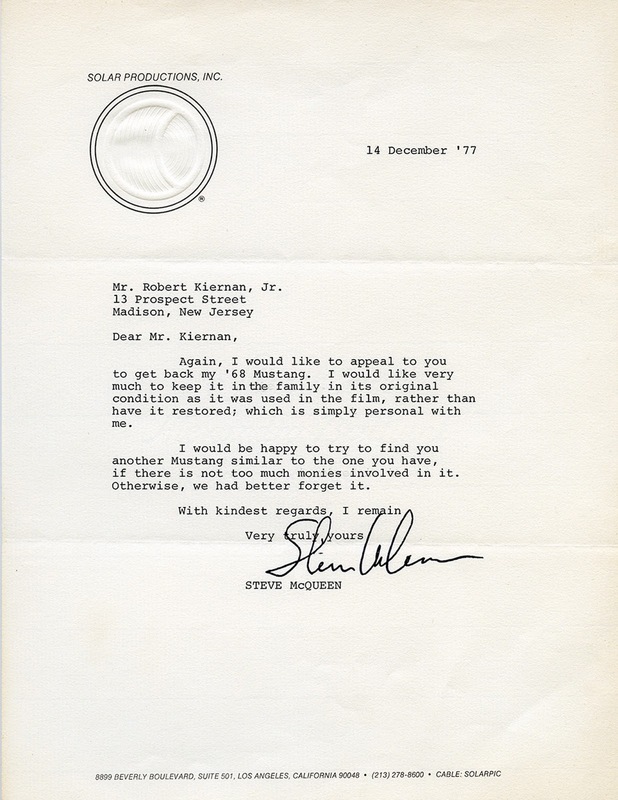 Interestingly, Steve McQueen from Bullitt actually attended this school and went on to serve as honorary chairman in 1966 and 1975. 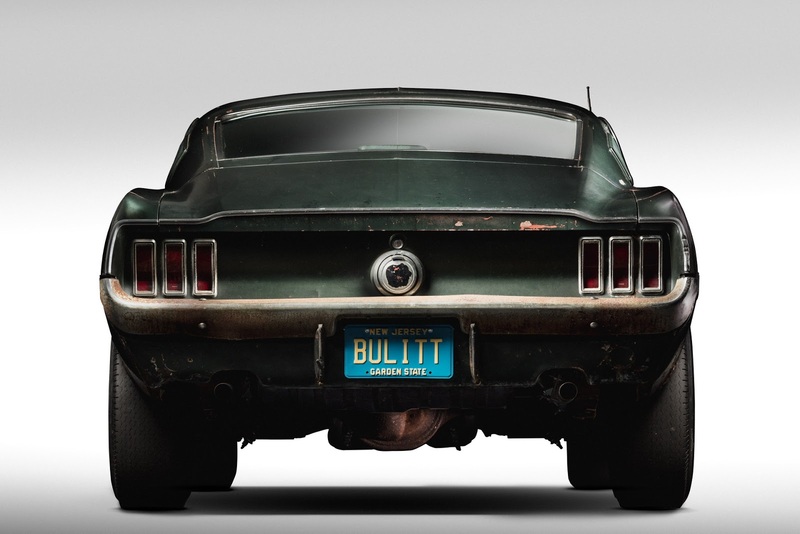 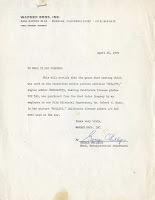 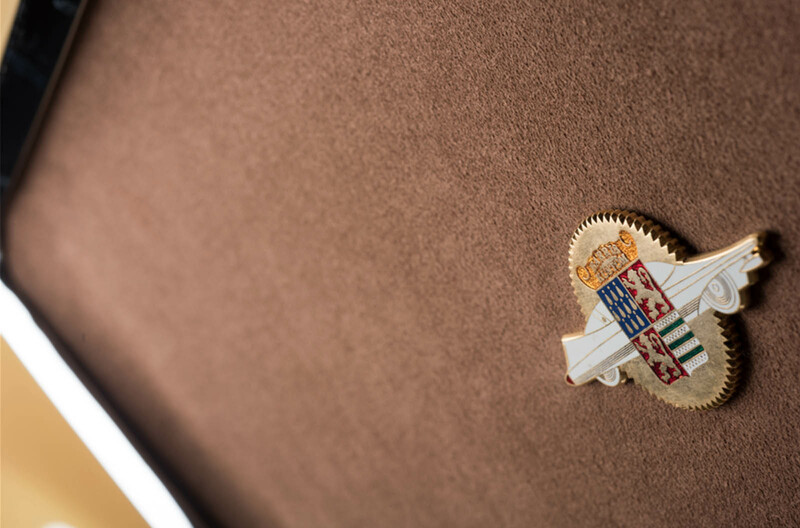 Giving the proceeds of the auction to the school will be a perfect way to celebrate the Bullitt legacy. 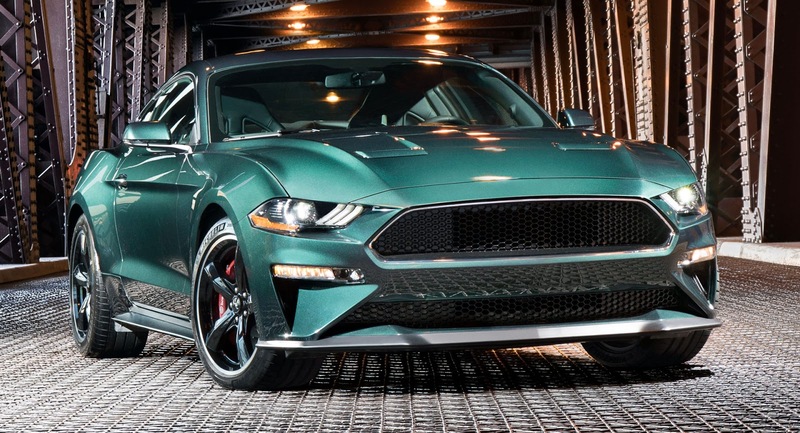 It is understood that the new Mustang Bullitt will be based around the Mustang GT and therefore continue to use a 5.0-liter naturally-aspirated V8 engine. 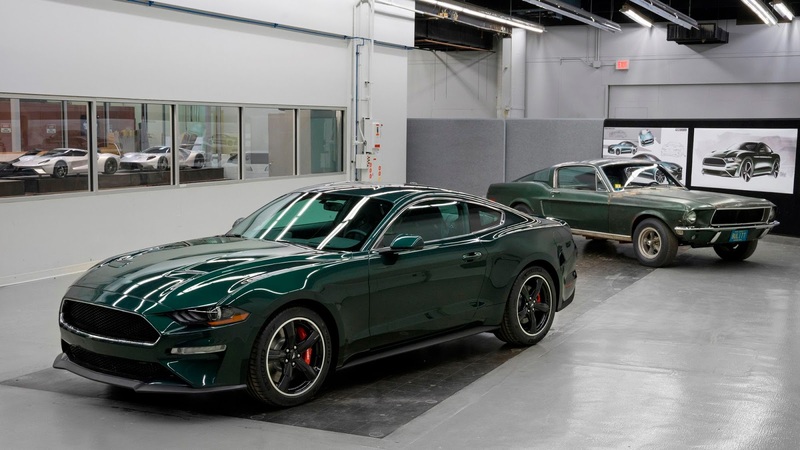 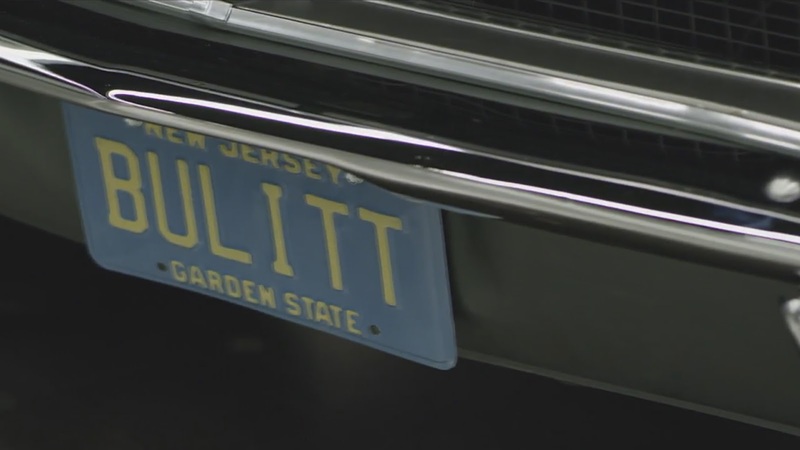 While it won’t benefit from any significant performance increases, the styling of the Bullitt will be bespoke and include a dark green paint scheme, five-spoke wheels with chrome and black accents, distinctive badging, and some unique interior elements. 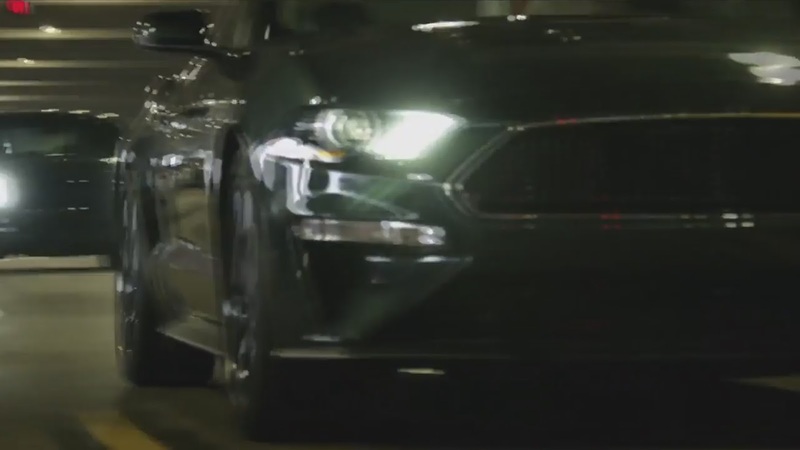 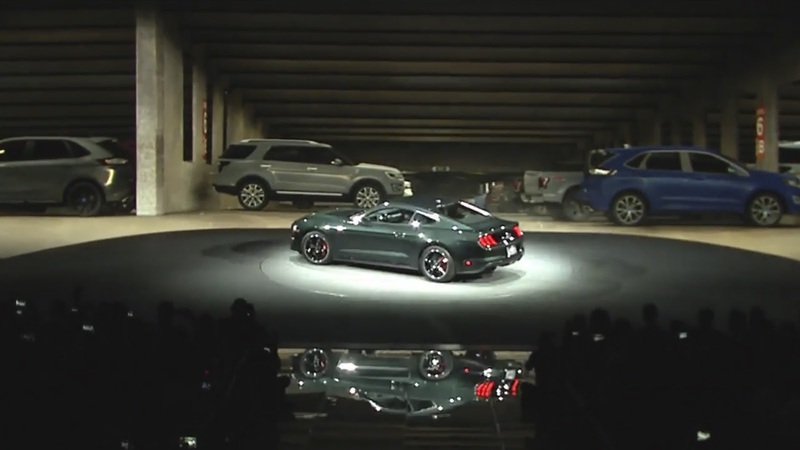 If reports prove accurate, the Mustang Bullitt will be shown to the world at the Detroit Auto Show.